After a very full day on Wednesday, May 10 at Sequoia, we planned to spend Thursday getting caught up on chores and such. We planned our visit to Kings Canyon for Friday, still not totally sure what we were going to find there. We seriously considered skipping it all together, as a quick check of Google Street View wasn’t revealing much more than a tree-lined road. Well, something stirred in us that Thursday morning and before we knew it, we were in Edsel and headed for Sequoia’s brother to the north! Rather than take the same road we took the day before, we decided to try the road that ran west of Sequoia through the foothills. What started out as a two lane road with painted lines quickly turned into a narrow country lane, somewhat reminiscent of the roads we experienced in Kentucky. I had to tame my inner Formula One driver, so as to not go over the side. 😉. The road gained elevation as we went, eventually leading us to the entrance to Kings Canyon. Looking at this photo and the previous one, it’s hard to believe they were taken an hour apart! Our fears of a cloudy day soon dissipated as we drove further into the park. 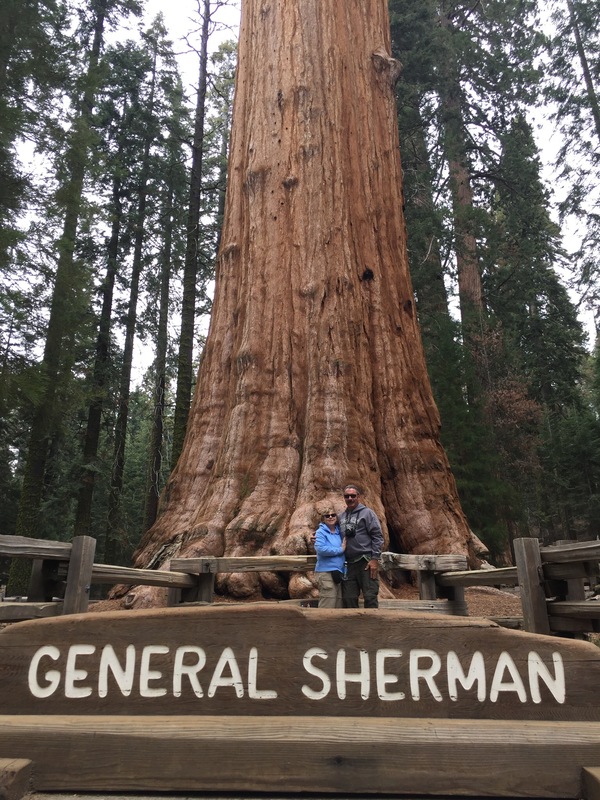 We stopped at the Grant Grove Visitor Center to gather more information about Kings Canyon and ended up speaking to Ranger Meredith, a seasoned dynamo full of enthusiasm for her beloved workplace. That stop paid off in gold as the day progressed. 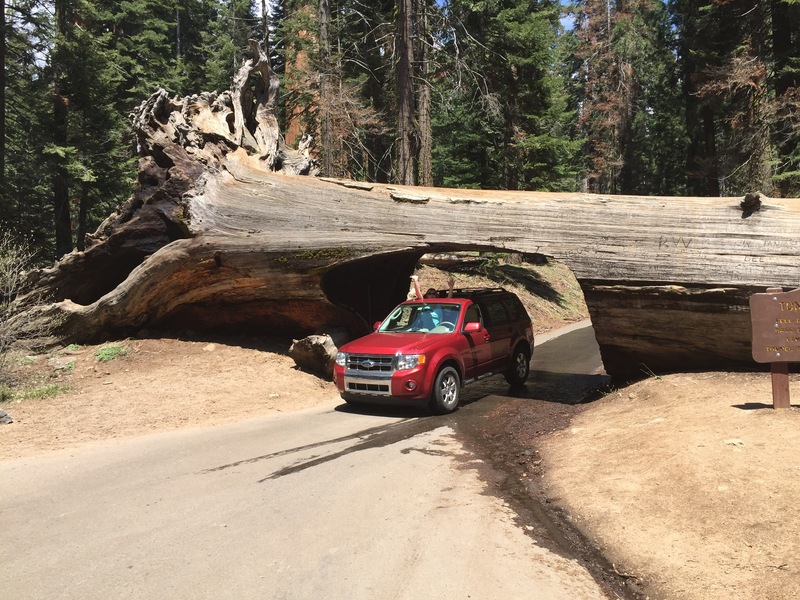 As we headed to the heart of the canyon, the road actually leaves the park for a stretch and enters Giant Sequoia National Monument. Wow! I guess this says a lot about the makeup of subterranean California! From there, we headed upriver to Grizzly Falls. 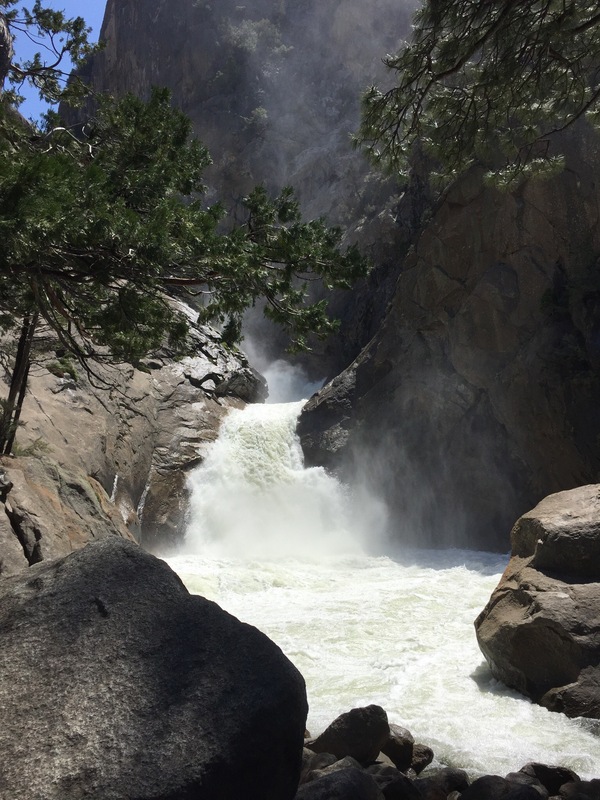 This powerful torrent was the culmination of Grizzly Creek just prior to it entering the Kings River. 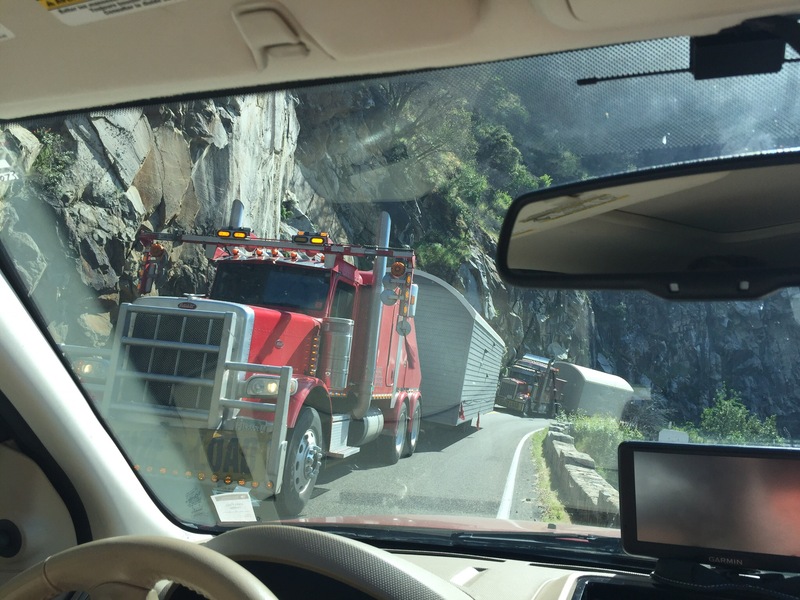 From there, the road re-entered the national park. Our next stop was Roaring River Falls. It definitely was roaring! Diana asked a NPS trail worker what we could expect to see in July, if we had come then instead. He said that the river would actually be higher in July, as the warm temperatures would be melting the mountain snowpack more quickly than it currently was. From there we went to Zumwalt Meadow. We crossed this suspension bridge along the way. We also had to cross over this flooded pathway, as a small creek was over its banks in this section of the trail. This was the payoff at the end of the trail! It was a very peaceful place to be. From this point, the road went just a little farther to a place called Road’s End. 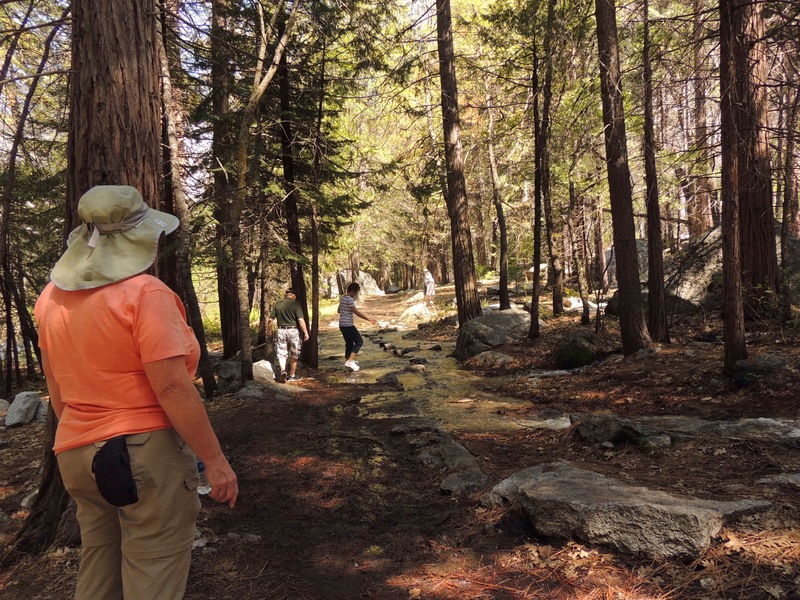 Diana spoke with three hikers there who had crossed the Sierras from the east. It took them six days. They had snowshoes as part of their gear, and they mentioned that there still is a lot of snow at the higher elevations. There are several trails that leave from Road’s End that are more our speed, and we definitely want to return to try them in the future. Heading back out the same road, we had a little surprise along the way. Three wide load trucks with what appeared to be some sort of temporary housing units on the back came by! I was over as far as I could possibly get, and had a few thousand foot drop off to my right. Yikes! 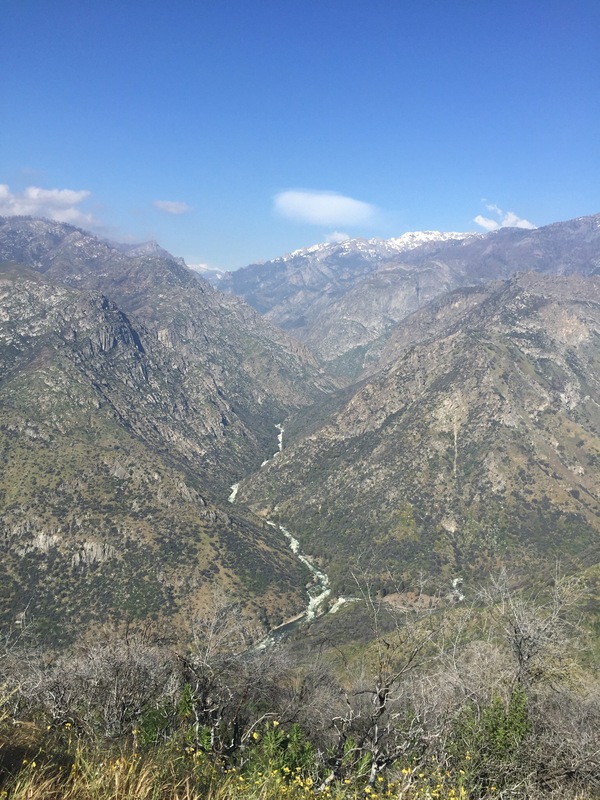 The difference in height between the river and the mountaintops is around 8200 feet, making Kings Canyon one of the deepest canyons in the United States! As I stated earlier, we almost didn’t make the trip that day. The next morning, the clouds hung at 2000 feet, so we wouldn’t have seen much of anything. We were glad we made the effort when we did, so we were able to see the spectacular scenery that Kings Canyon has to offer. 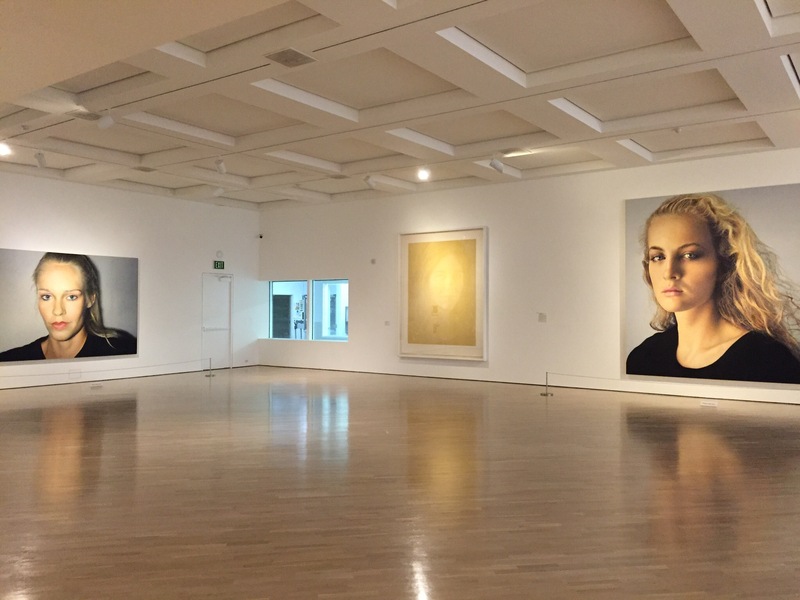 Though it is a bit of a challenge to get to, take the time to experience it. You won’t be disappointed! Next up, we head towards Napa Valley! Be sure to stay tuned! At a coffee shop in Kentucky last November, we scheduled a five day stay at Yosemite National Park as part of our trip to Oregon from Florida. Record rainfall this winter took out a couple of key bridges between the campground we had reserved and Yosemite, and it would have increased the trip into the park to 2-1/2 hours. 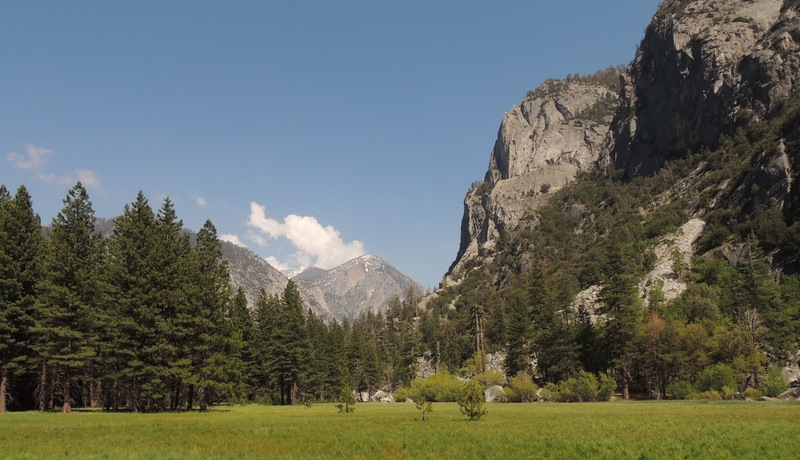 While considering our options, Sequoia and Kings Canyon National Parks showed up on our radar. A few phone calls later, our new destinations were set! These two parks are operated as one administrative unit, but are vastly different. With that in mind, we will give Kings Canyon its own post following this one. 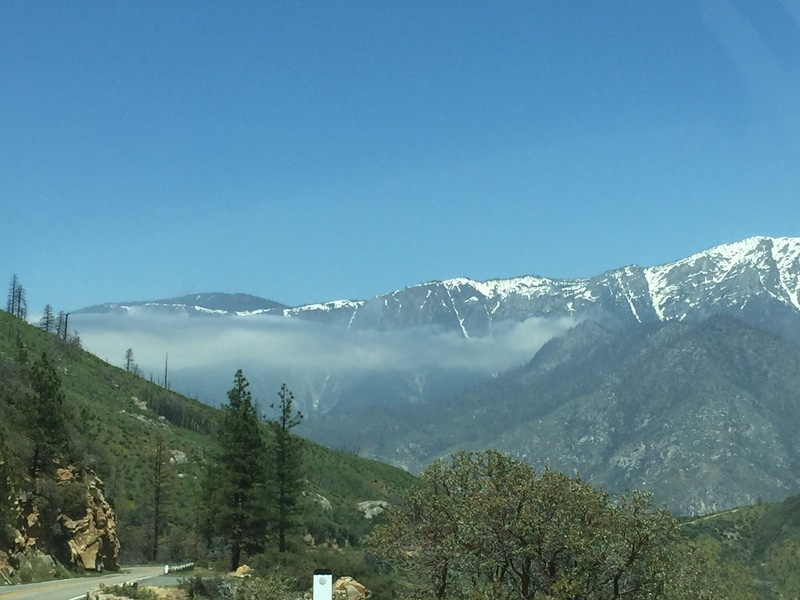 We arrived on Tuesday, May 9 and set up base camp at Kaweah Resort in Three Rivers, just outside of Sequoia’s southwest gate. 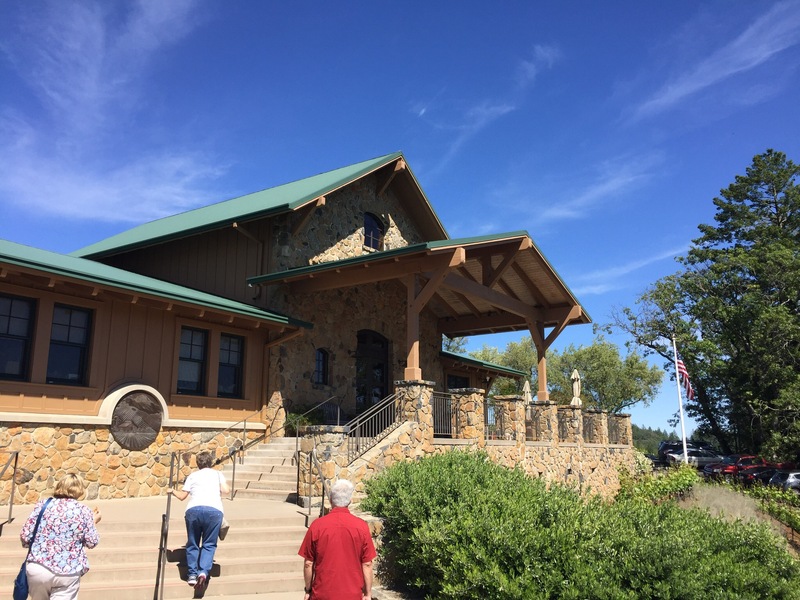 We drove up to the visitor’s center and picked up our maps, information, and our Junior Ranger book. 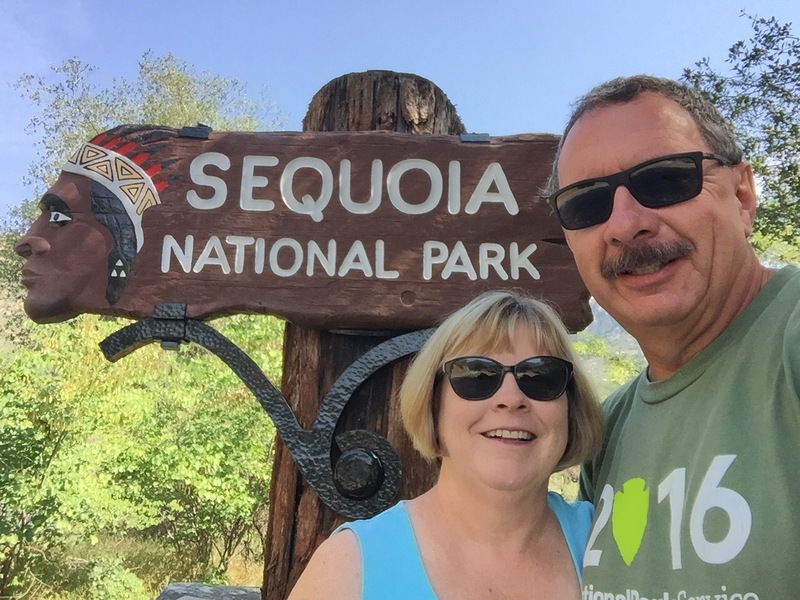 The next day we set off to discover Sequoia National Park! 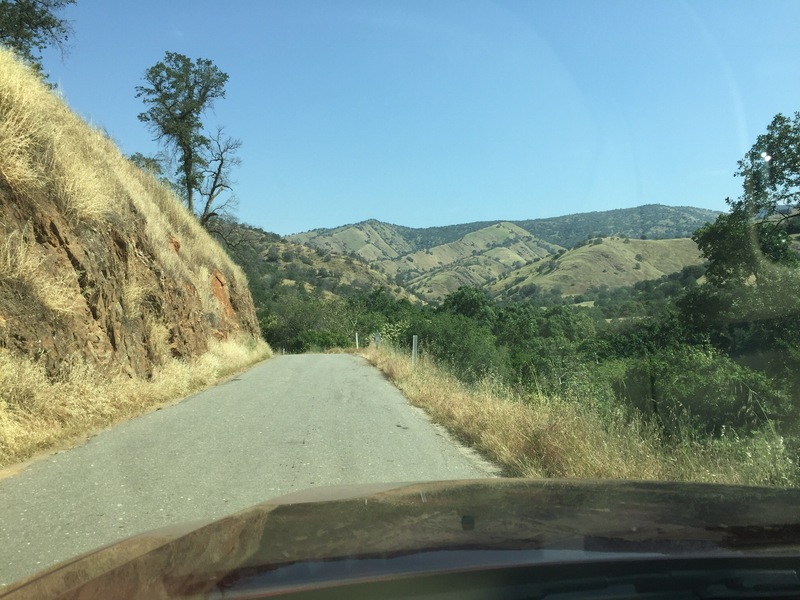 As we entered the foothills, it quickly became evident that the roads were full of curves and hairpin turns. It was seldom that we cleared 30 miles an hour, which was just fine with us. There were plenty of turnouts to allow us to get over and let those with a tighter schedule to pass. It was in these foothills that Moro Rock first came into view. Knowing there was a pathway to the top, we headed that way. Our first stop was at Hospital Rock. This gigantic boulder was the winter home for up to 500 Potwisha Indians, and features several petroglyphs. 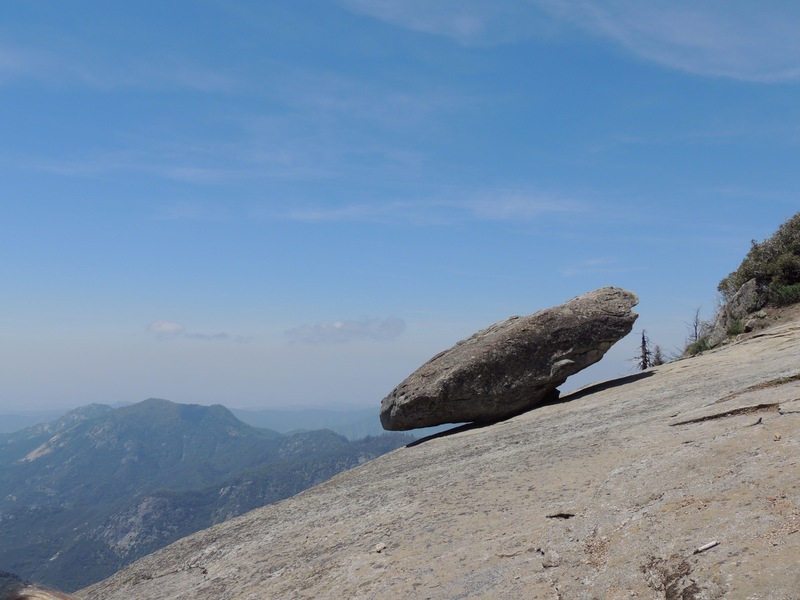 Hale Tharp, a settler originally from Michigan by way of Placerville California, gave the rock its name after two acquaintances of his were treated by the natives there for injuries they had sustained elsewhere in the mountains. 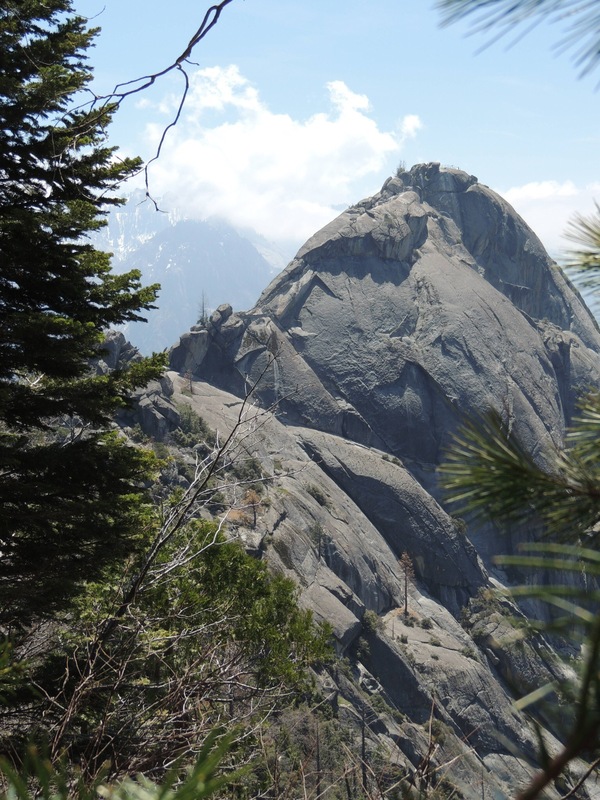 Just before Moro Rock is a trail leading to Hanging Rock. Not exactly a place a person would want to be in a rain, ice or snow storm. 😉 The view from there was outstanding! The trail does offer one of the better vantages of our next destination. 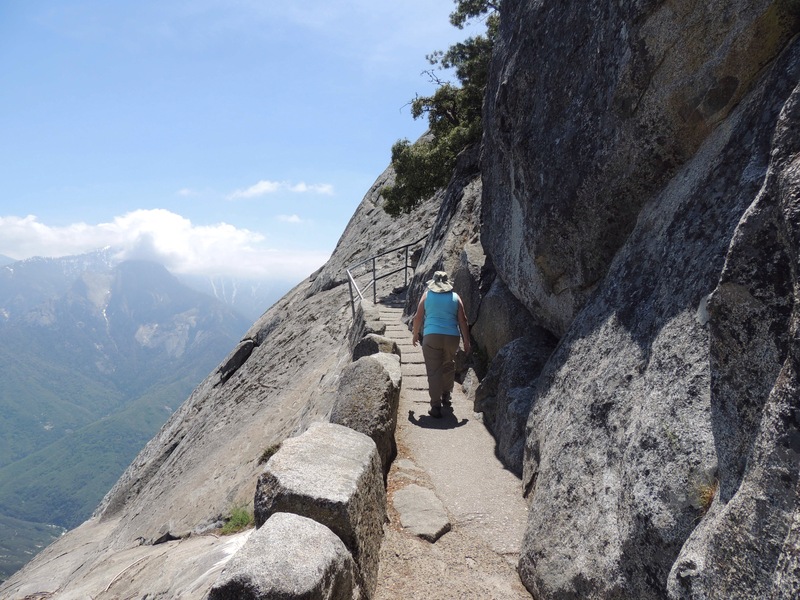 After the Hanging Rock Trail, we then began our ascent up the spine of Moro Rock. 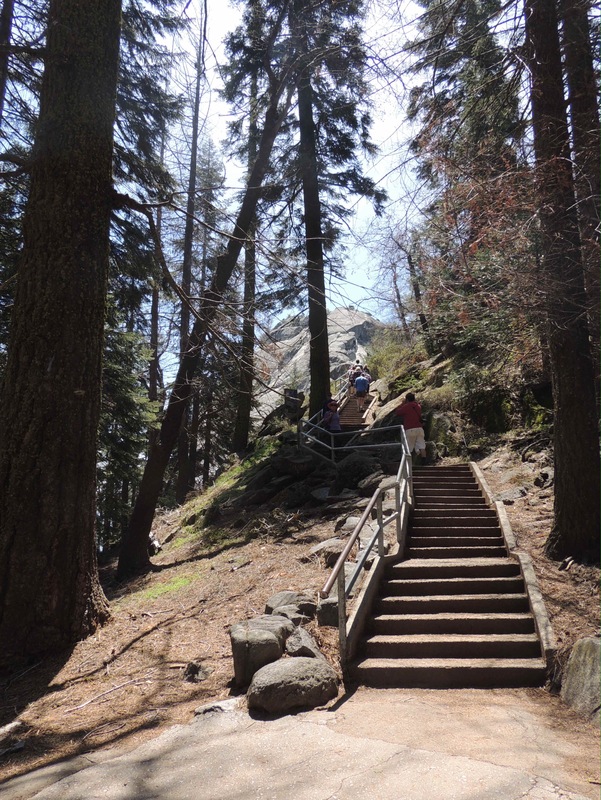 The 350 rock stairs were fashioned in the 1930’s by the CCC and provide a fairly (but not totally) safe route to the top. This is definitely one place where you want to heed the Stay on the Traîl signs! Looking back, Hanging Rock can be seen in the center of the photo. That’s quite a drop off. The view from the top is breathtaking! 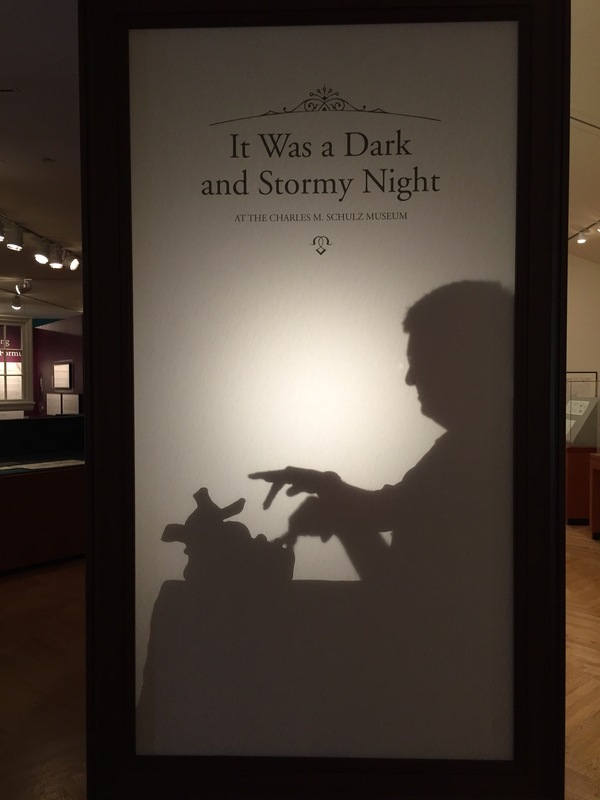 We want to note that this is not a place to be if there is a threat of bad weather. Lightning can be an issue up here. We also saw one woman scooting back down on her bottom, so a fear of heights comes into play on this climb. 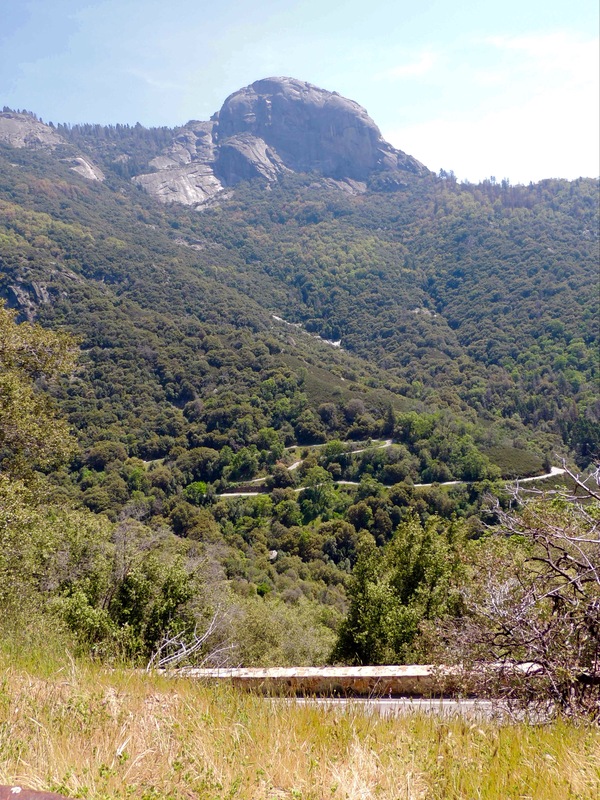 From the vistas of Moro Rock, we descended into the forest that this park is so famous for. Actually, the word descended is a misnomer. 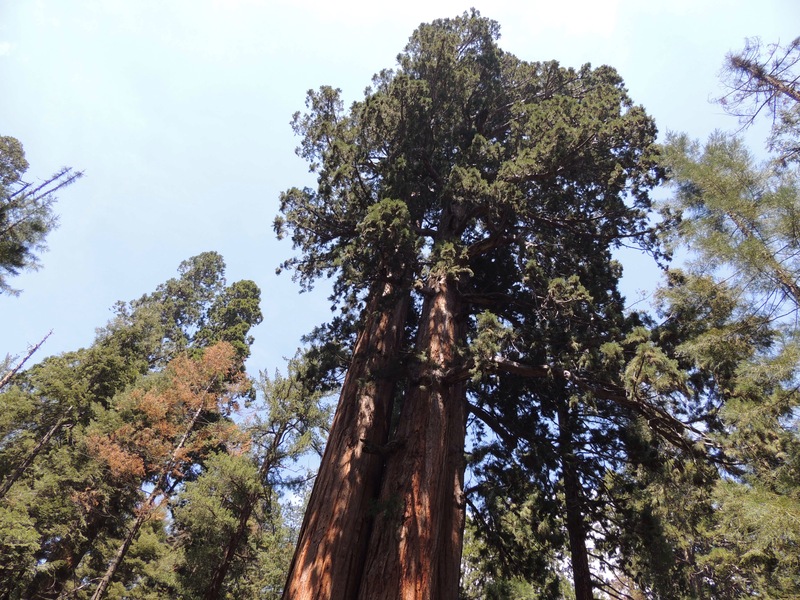 We gained a fair amount of elevation before we reached the taller sequoia trees. That boggled our minds as typically the higher the elevation, the shorter the trees. That’s not the case here! Words can not describe how impressive these trees are. That tree is most likely well over 1000 years old. The small tree to the left is also a Sequoia. The bark on these trees is soft and squishy, about the consistency of a ripe avocado. As you can see on the smaller tree, the needles are similar to a cedar or arborvitae. They actually grow in a mixed forest. There are several groves of them scattered around the park. And there’s Diana waving from Edsel in the Tunnel Log! 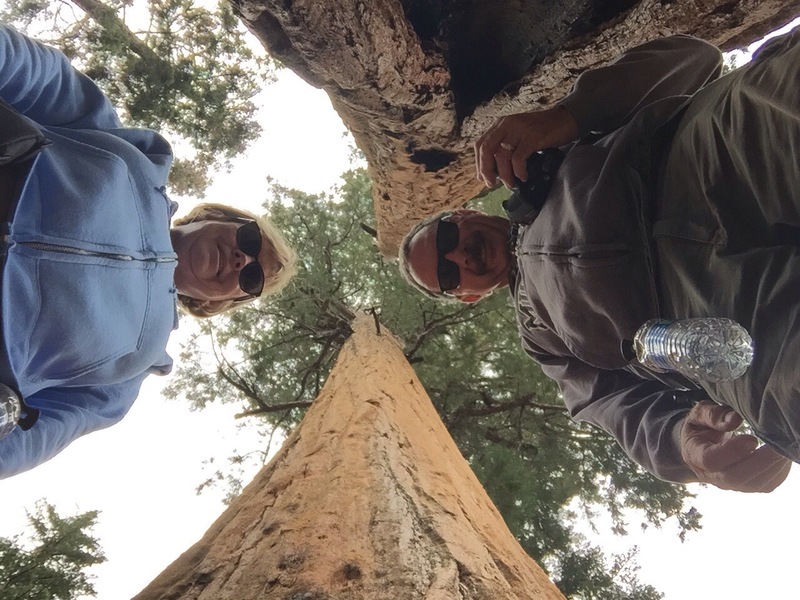 We traded photography duties with a couple at these twin sequoias. One of the trunks showed a large forest fire scar. These giants rarely succumb to fire, as the bark is flame resistant. The trees have a surprisingly shallow root system, considering their size. The usual cause of death is that they simply lose their balance and fall over. Which is exactly what happened with the Buttress Tree. This giant actually toppled over in 1959 on a clear day with no wind. It’s remarkable how little it has decayed since then. 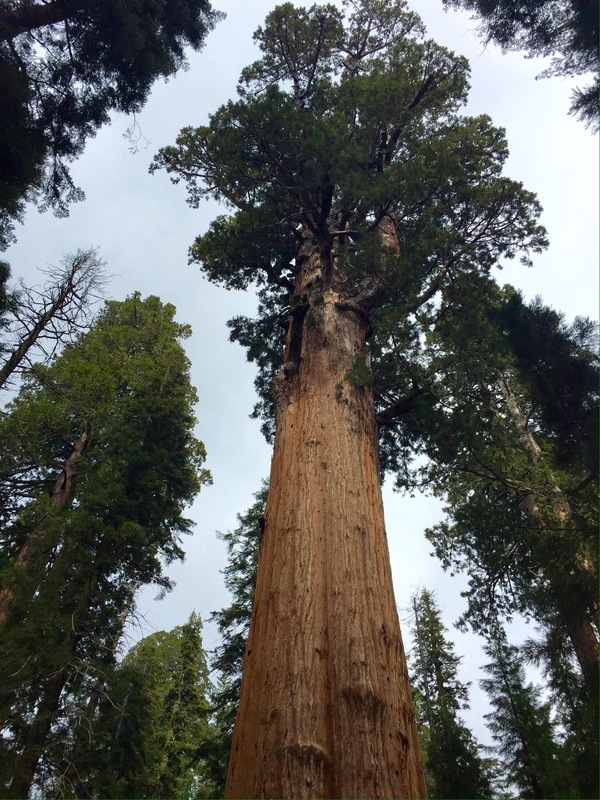 Of all the mammoths in Sequoia National Park, one stands larger than the rest. In fact, it is the largest tree by volume on the face of the earth! This coniferous colossus is estimated to be 2200 years old! 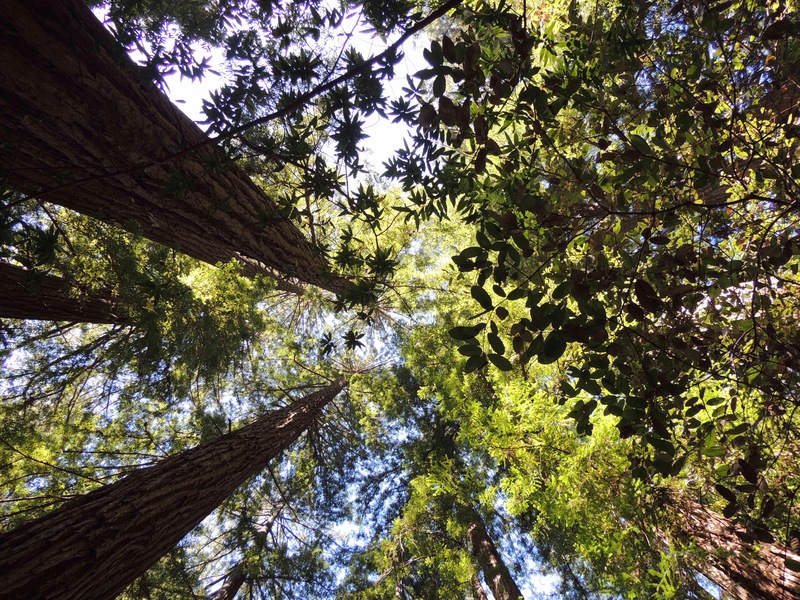 To give visitor’s an idea how tall it is, the trail from the parking lot 1/2 mile away begins at treetop height (275 feet). Walking back up the trail afterwards…at an altitude of 6000 feet above sea level…really drives the point home. This tree is simply magnificent. 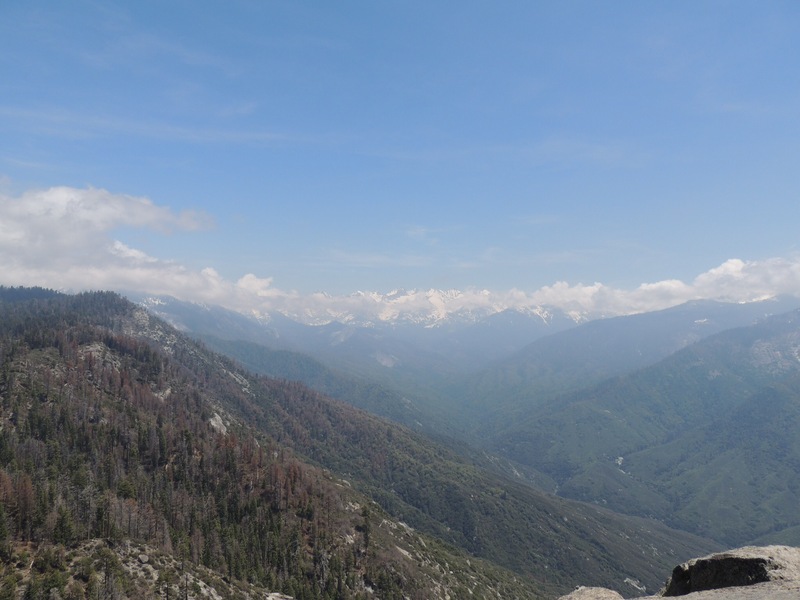 Next up is Sequoia’s neighbor to the north, Kings Canyon National Park! Be sure to stay tuned! Giant Sequoia growing kit and other fun items on exploRVistas Amazon link available by clicking HERE. After spending time with family in Oceanside, we headed up to San Dimas to establish a base to do more exploring and visiting. 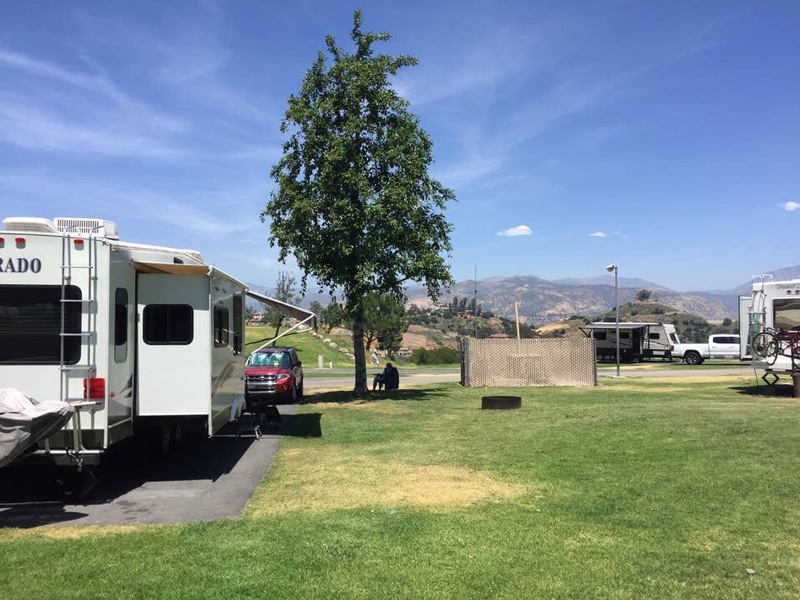 We were fortunate to snag this site at East Shore RV Park, which featured a tremendous view of the San Gabriel Mountains. Our focus during our time here was to catch up with some old friends, visit with more family, and see some of the local sites. We also honed our urban driving skills on the famous L.A. freeways! 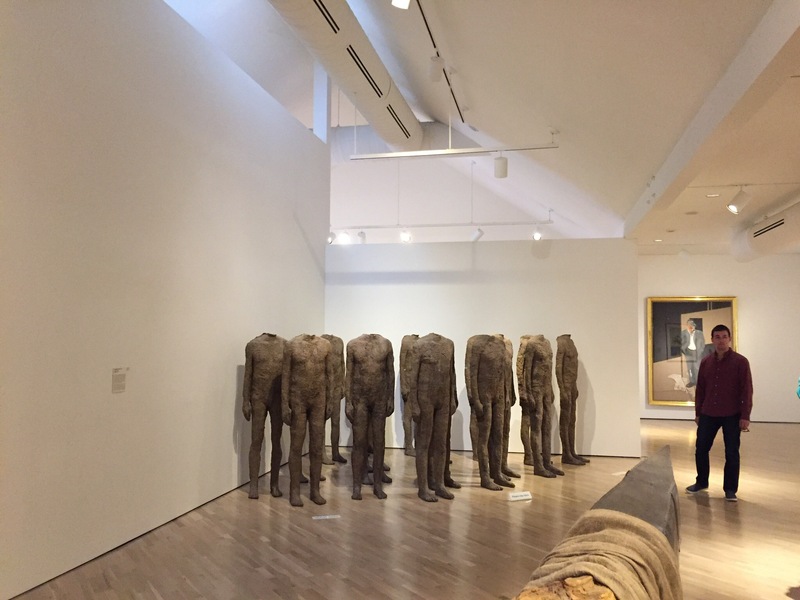 On Thursday, we headed towards Woodland Hills to visit with friends. We stopped along the way at Forest Lawn Hollywood Hills Cemetery, as Diana noticed there were several celebrities buried there. 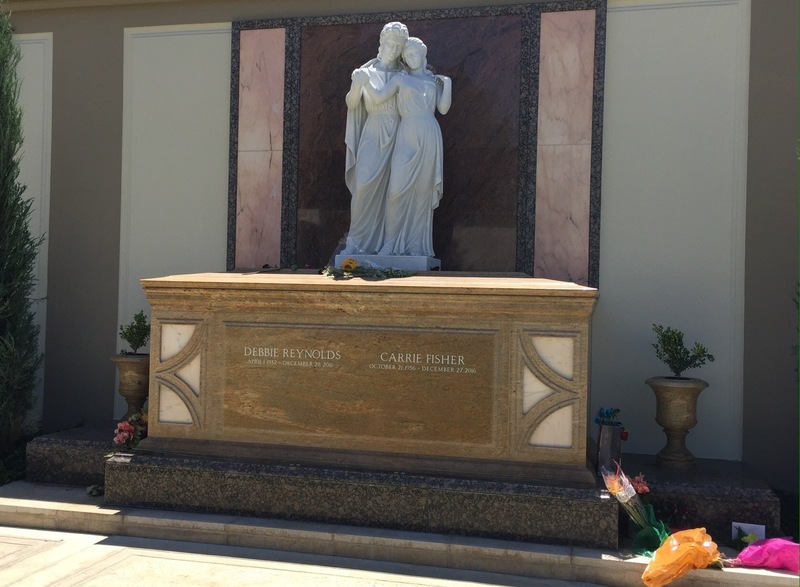 We saw the graves of Bette Davis, Liberace, Debbie Reynolds and Carrie Fisher. It was not lost on us that we were there on May 4, otherwise known as Star Wars Day (May the 4th be with you). 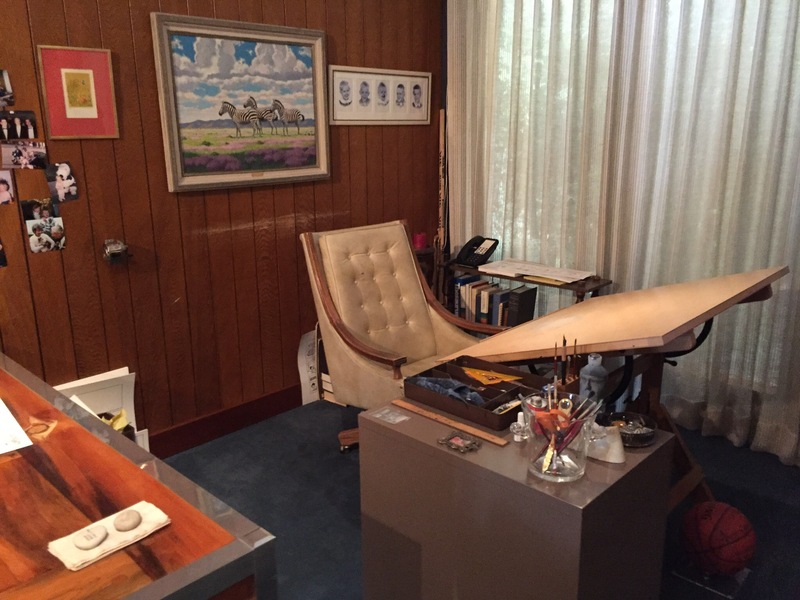 From there, we went to one of Diana’s friend’s home in Woodland Hills. 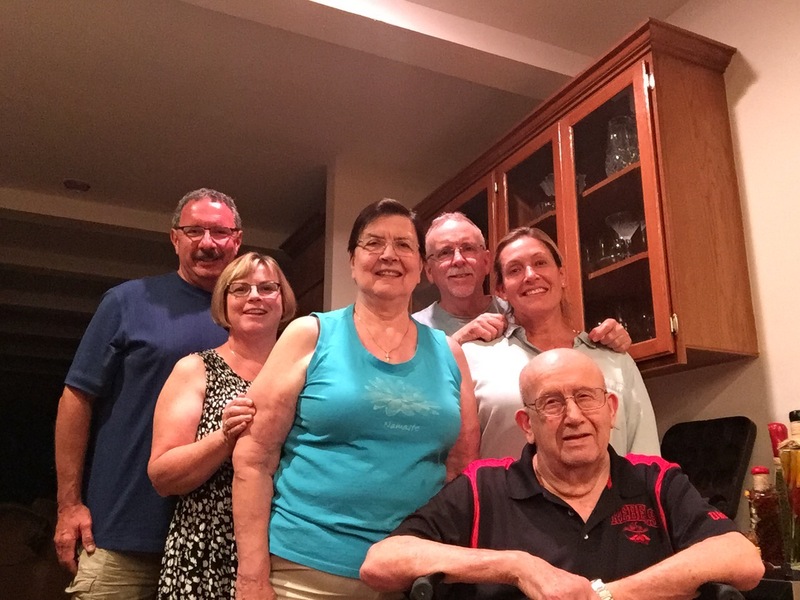 Here we are with Debi and her husband Jamie, along with Debi’s parents, Jeane and Ron. Debi’s mom was one of Diana’s Girl Scout leaders along with Mrs. Faust. (We visited Mr. and Mrs. Faust a couple of years ago in Michigan). Having the same leaders from second through twelth grade made this group of girls very close and many of them still keep in touch. Their troop was very active with many camping trips, including a two week Hike Across Michigan. Diana joked that Debbie’s dad and Mr. Faust should have earned merit badges for driving motorhomes full of teenage girls from Michigan to Yellowstone National Park and back. It was great to catch up with all of them and to finally be able to meet Jamie! 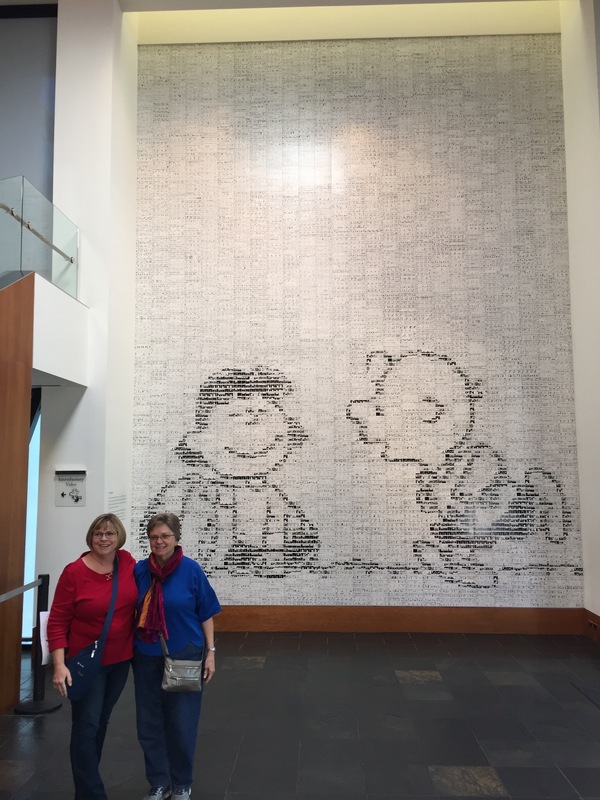 On Saturday, we headed to Pasadena to catch up with Betsy and her husband Wayne. We met Betsy back in college and we’ve kept in touch ever since. Wayne was our tour guide for the day as we checked out the area. They treated us to dinner afterward, which was very sweet! 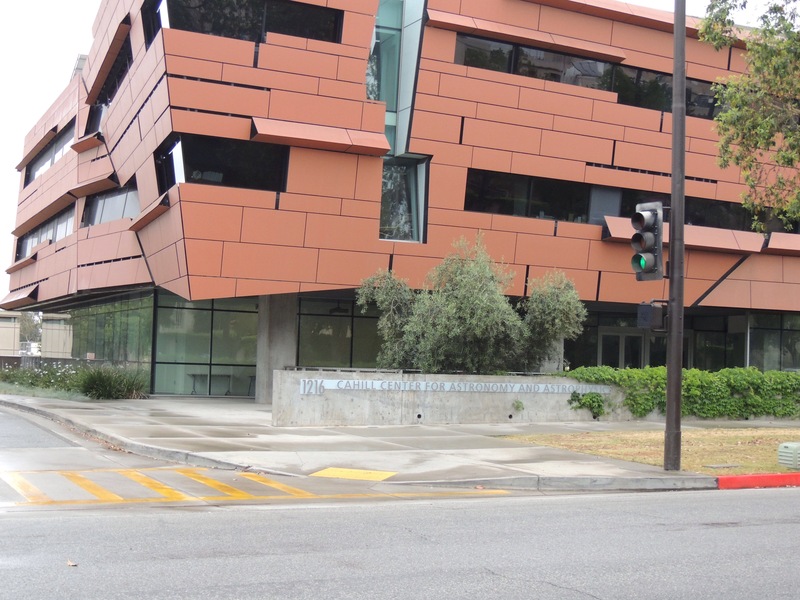 He works at The California Institute of Technology, so we were able to get an in-depth walk through the beautiful campus. 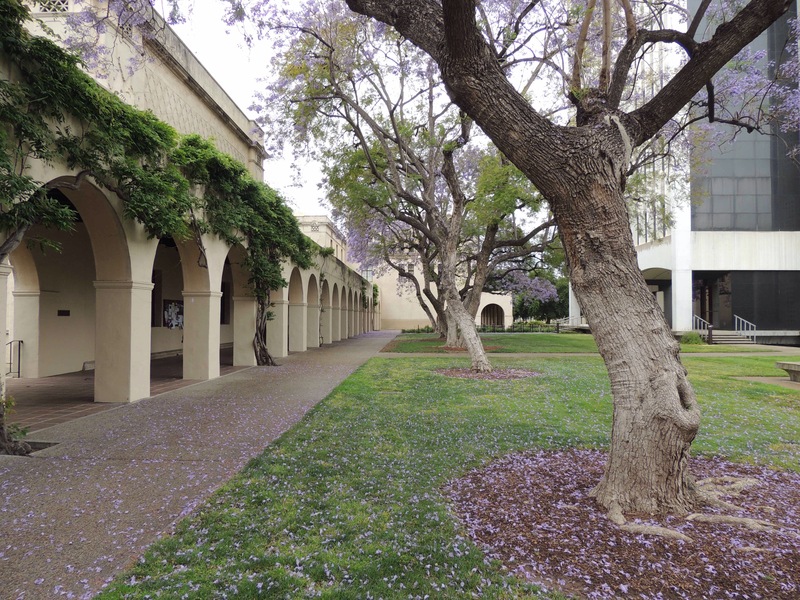 It’s inspiring to note that 33 Nobel Prize winners have graced these grounds. 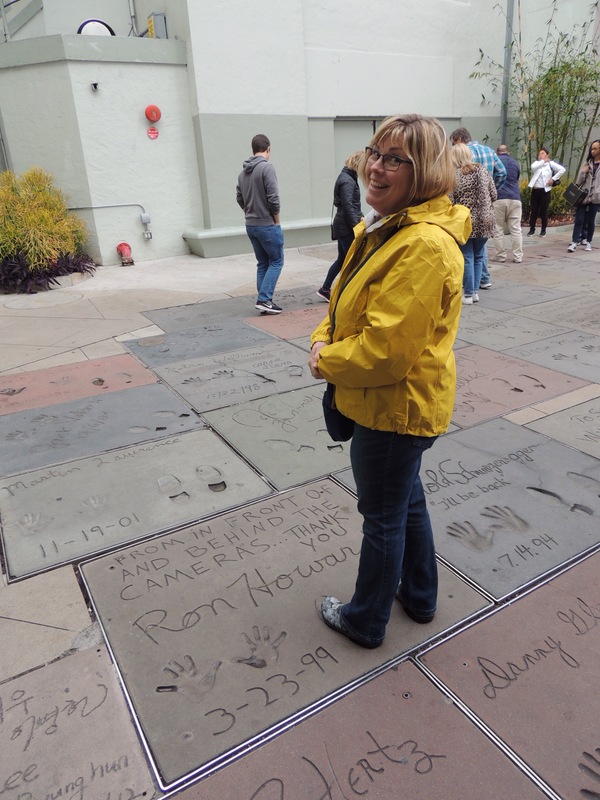 From there, we checked out Huntington Botanical Gardens, the Rose Bowl, Hollywood, and Beverly Hills. 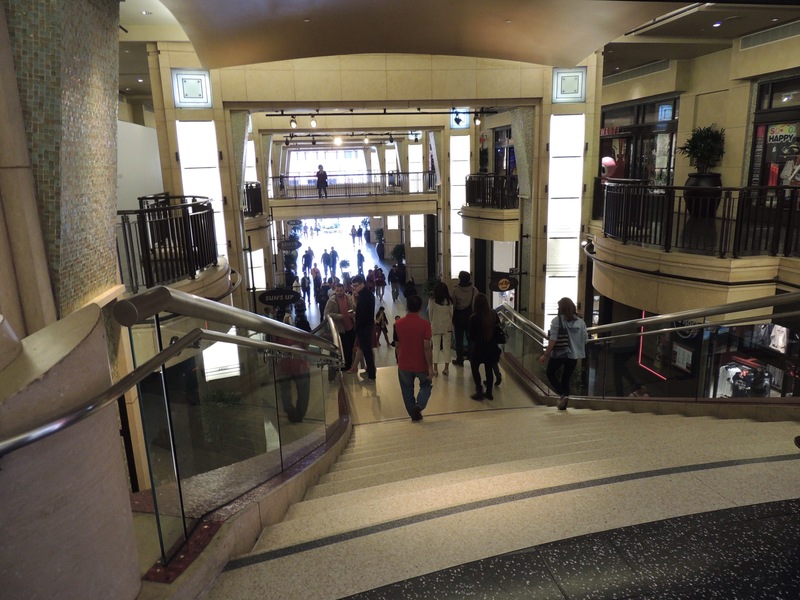 This is the Red Carpet area that leads into the Dolby Theatre where the Academy Awards are held. It’s actually a mall that is lined with stores on both sides, which are curtained off for the show. Who knew? I’ve always known that I had stiff competition, in the fact that Diana wanted to marry Opie when she was growing up. 😉 (I always did like the nice guys 😊 Diana). Thank you for the marvelous day, Betsy and Wayne! On Sunday, we went to Glendora to visit with more of Diana’s California relatives. Diana’s mother was the youngest of eight children. 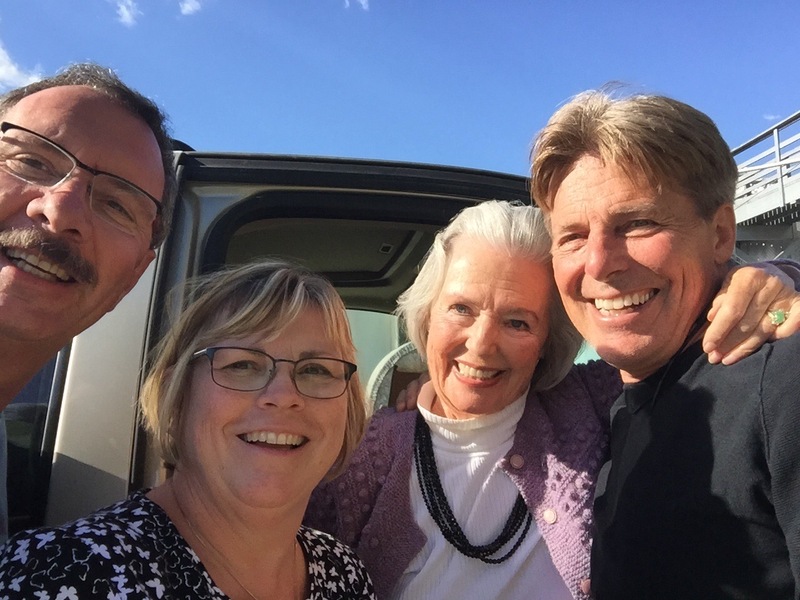 One of Joyce’s sisters, Lucille (Don), and one of her brothers Ken (Margery), and their families moved from Michigan to California in the 1950’s. Diana is one of 23 cousins on her mother’s side. The main reason for coming to California this spring was a long overdue visit to see these family members, and it was wonderful beyond our expectations! Seated in the front is Aunt Margery. From the left are Judy, Mike, Evie, Gregg, Judy, Diana, myself and Wes. A total of 20 of us attended a get together at Aunt Margery’s home. We were so excited about seeing each other, we failed to get photos until after the following people had left: Uncle Don & Aunt Barb; Barry & Dawn; Evie’s daughter Kelly, her husband Mike, and their son Oliver; Judy’s son Wyatt, his wife Syndi, and their sons Gage & Gavin. As stated in our last post, Diana had not seen some of them since she was a young girl. Others she had yet to meet. We were moved at the outpouring of love from them, and we are determined to not let so much time pass before our next visit! From the excitement and bustle of the Los Angeles area, we move next to the majesty of the High Sierras. Be sure to stay tuned! The Big Bang Theory and other great items from exploRVistas Amazon link are available by clicking HERE. 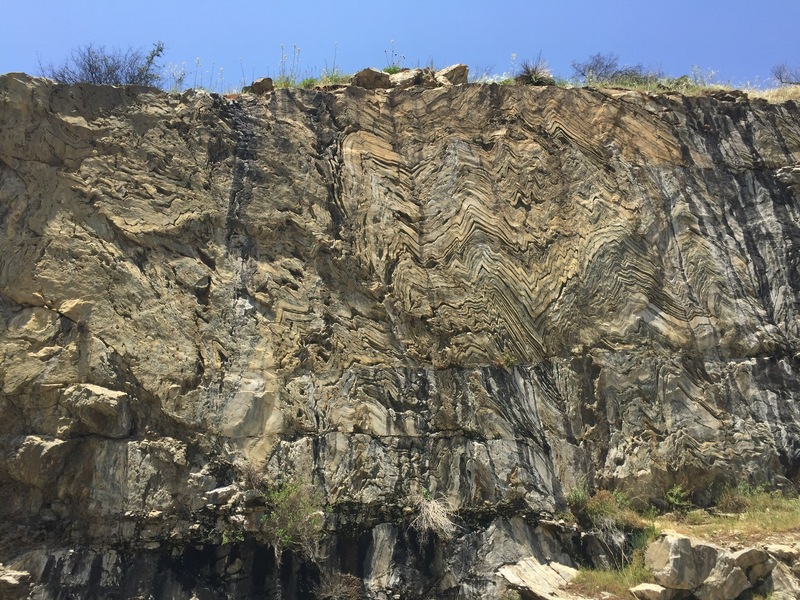 After spending a considerable amount of time in the desert the past few weeks, we crossed over the Laguna Mountains in Southern California and into the wonderfully cool temperatures of the San Diego region. Our plans were to see Diana’s relatives who live in the area. 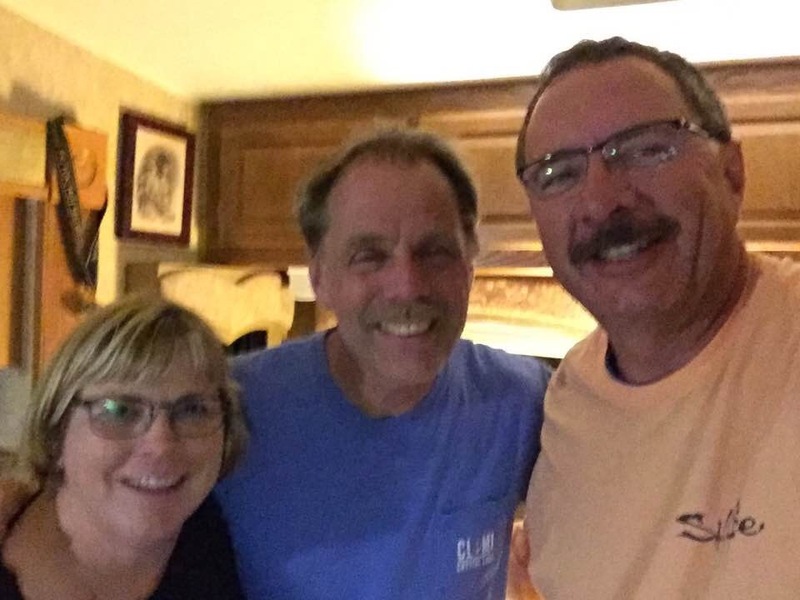 We arrived in Oceanside on April 27 and met up with Diana’s cousin Barry and his wife Dawn for dinner. 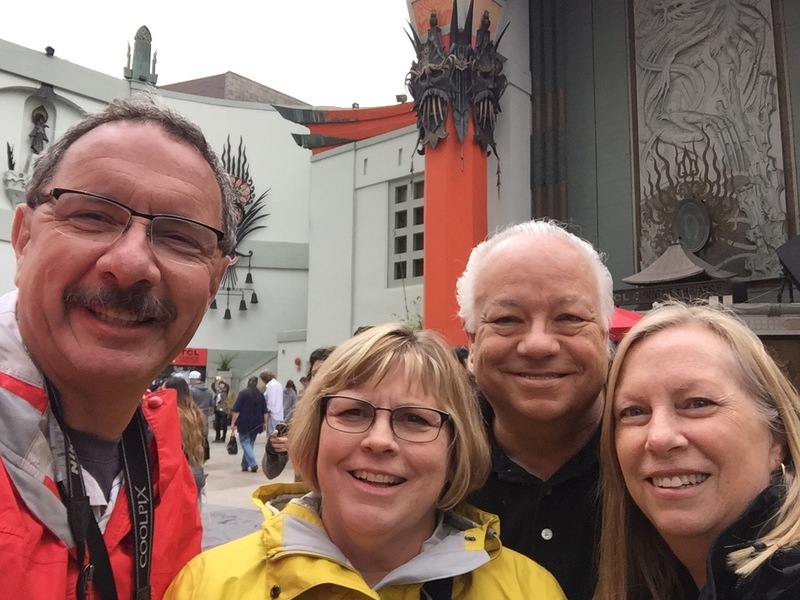 The next day, the four of us hopped the Coaster train to San Diego to do a little touring! 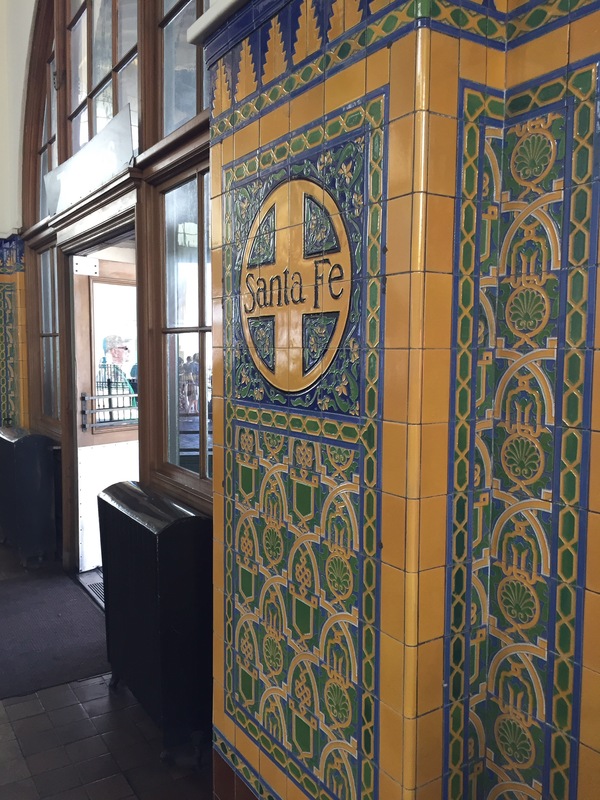 These tiled pillars in the Santa Fe Depot were fabulous! The building was opened in 1915 and has been in use ever since. 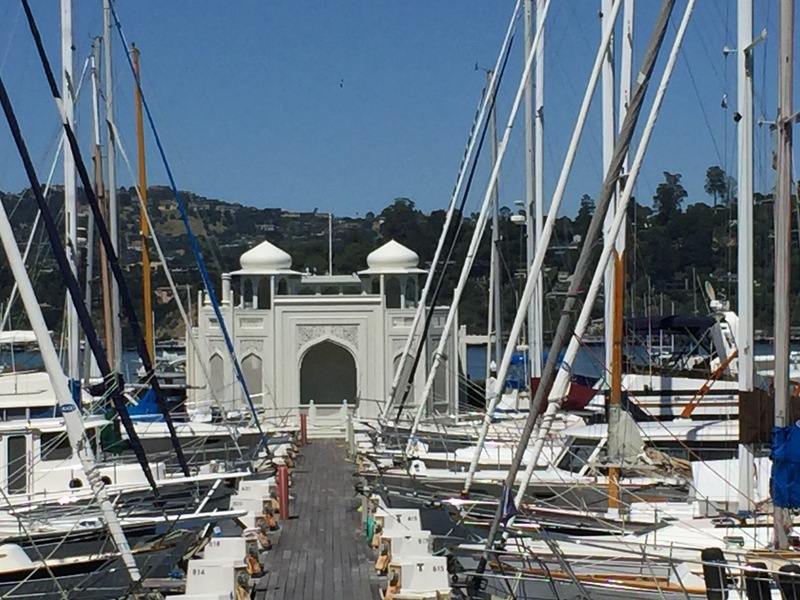 It was built by the City of San Diego in an attempt to lure the Santa Fe Railroad to make it the western terminus for its transcontinental railroad. Los Angeles ended up winning that competition. 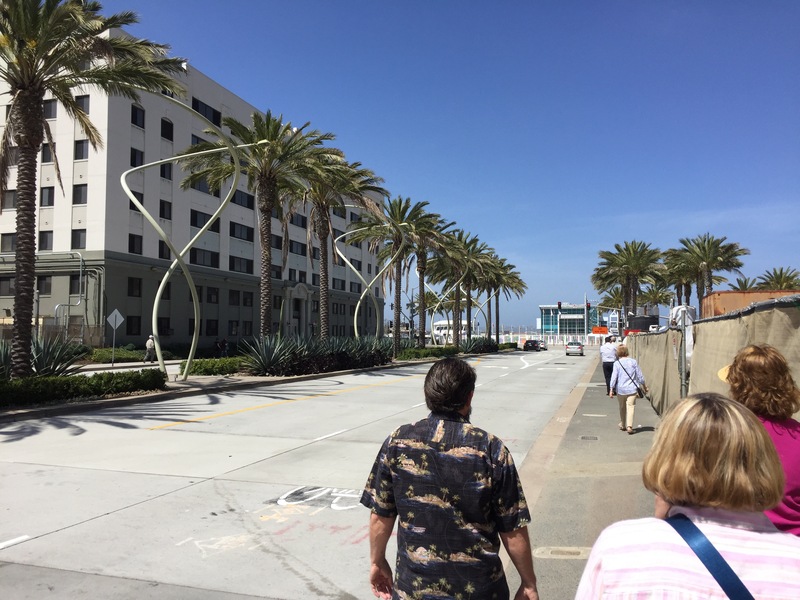 We walked to the bay to see the aircraft carrier USS Midway and to check out the waterfront. 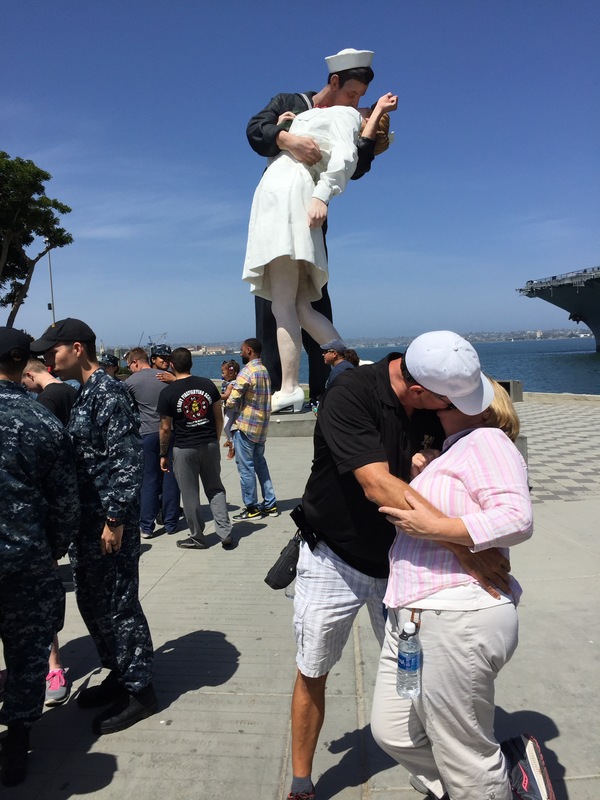 I even kissed one of the pretty girls while we were there! 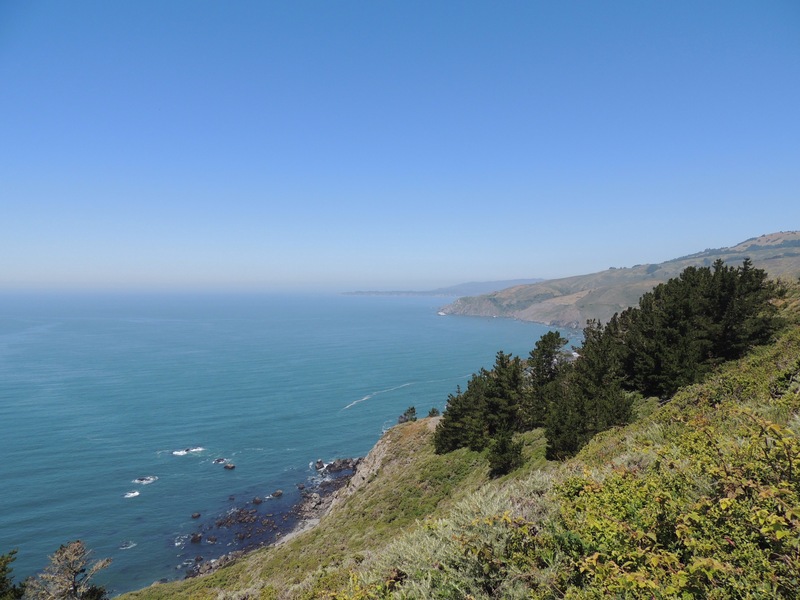 The next day, Diana and I hopped in the Escape and headed back south along the Pacific Coast Highway. One of the surprises for us was the Veterans Memorial on Mt. Soledad. There were semi circles of black granite tiles with veterans names, photos and stories inscribed in them. Any U.S. veteran, living or dead, can have a plaque there. Prices start at just under $1,000 and go up, depending on the size of the tile. 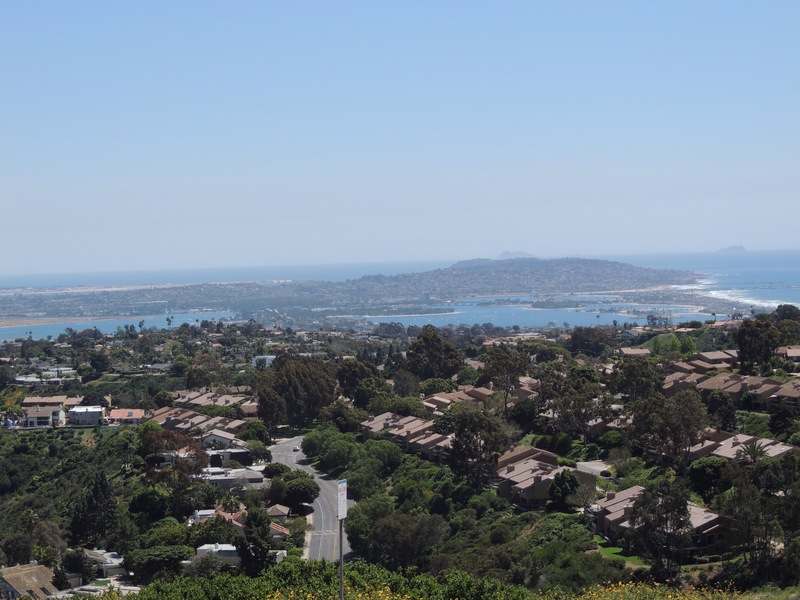 From there, we skirted the western side of San Diego to visit Cabrillo National Monument and Old Point Loma Lighthouse. This maritime sentinel had been on our list of places to see since way back at the turn of the millennium when we were members of the U.S. Lighthouse Society. That organization featured the lighthouse at that time and caught our eyes. 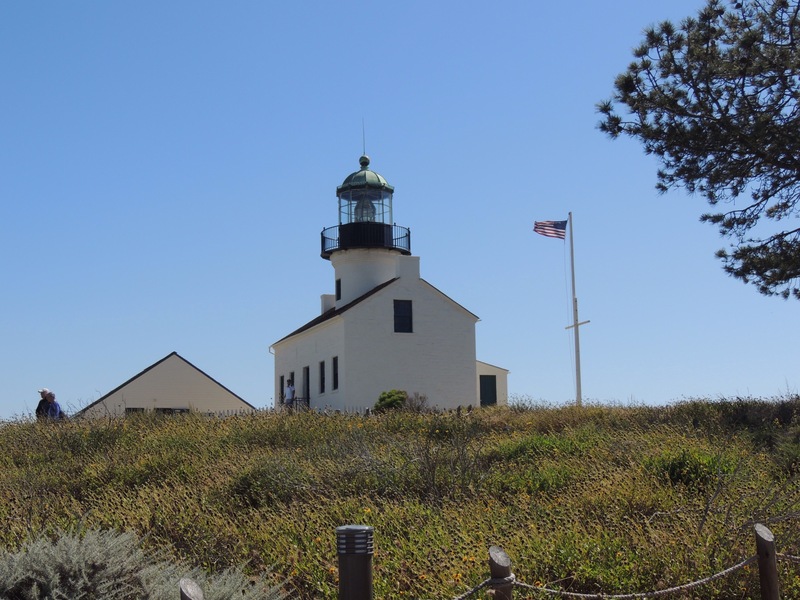 Built on the top of 400 foot high Point Loma in 1855, the lighthouse was the highest in the United States during its 36 years of service. It’s demise was brought about by the fact that it was too high to be seen by ships during foggy periods, resulting in the lighthouse keeper occasionally having to discharge a shotgun who warn passing ships. 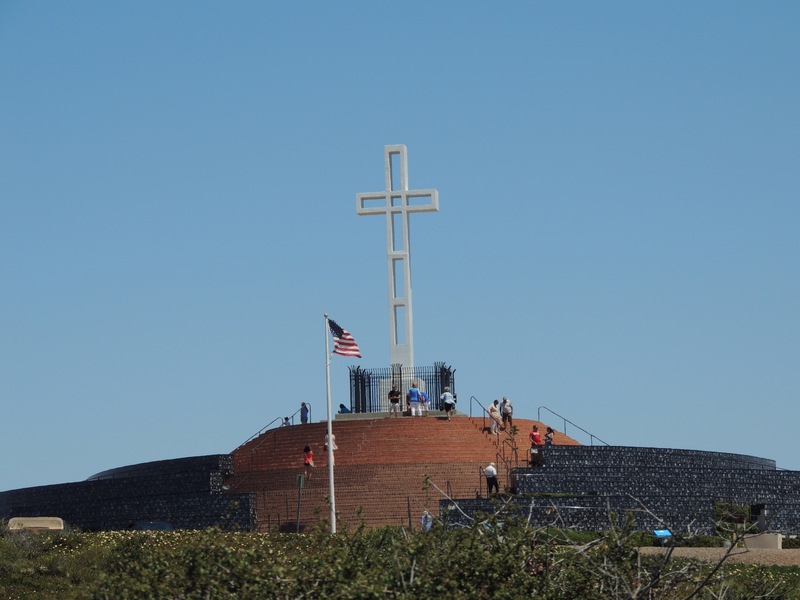 To solve that issue, the New Point Loma Lighthouse was constructed in the late 1800’s at the base of the hill. 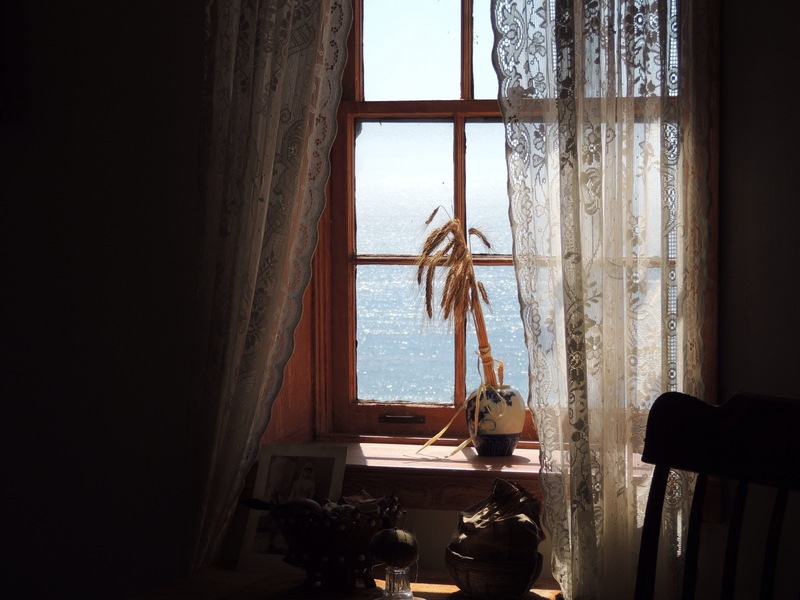 While it was a simple home in a remote location, the views from the windows of the harbor and the ocean made life here worth the hardships. 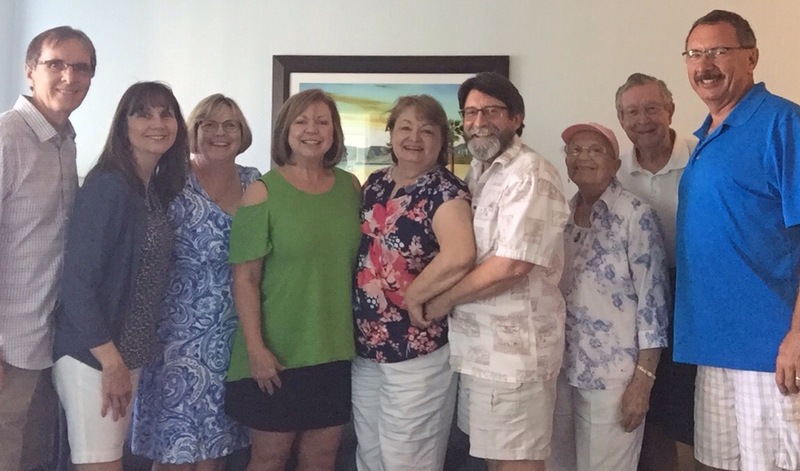 The next day, we got together in Oceanside with several of Diana’s relatives at a gathering that Barry and Dawn hosted at their timeshare. On the left is Gregg and Diana’s cousin Evie, who Diana hadn’t seen since she was in fifth grade. On Diana’s left is her cousin Sandra, who was visiting from Delaware. Next is Dawn and Diana’s cousin Barry, then Aunt Barb and Uncle Don, then me. Several of us went down to the beach to watch the sunset later on. Diana and I finally put our feet in the ocean, marking the completion of our trip from the Atlantic to the Pacific! Thank you so much, Dawn and Barry! We had a fabulous time! 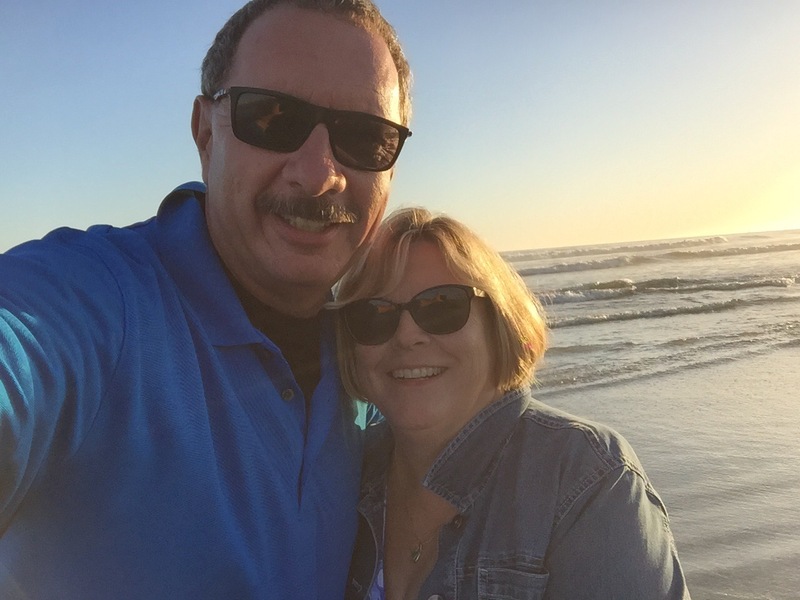 On Monday, Barry and Dawn took us on a tour northward from Oceanside up to Huntington Beach. 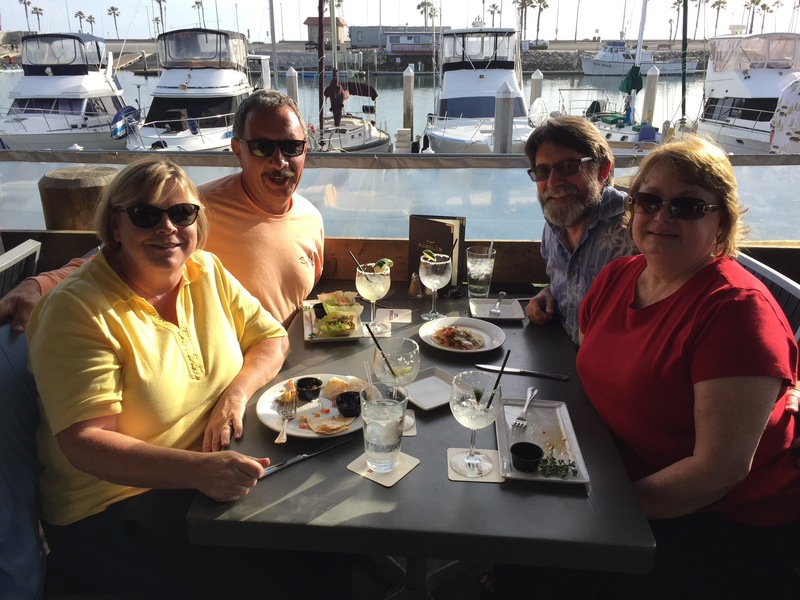 We made stops in San Clemente, Balboa Island and Huntington Beach, where they treated us to lunch. We really enjoyed spending some quality time with them! That wrapped up our time in Oceanside! 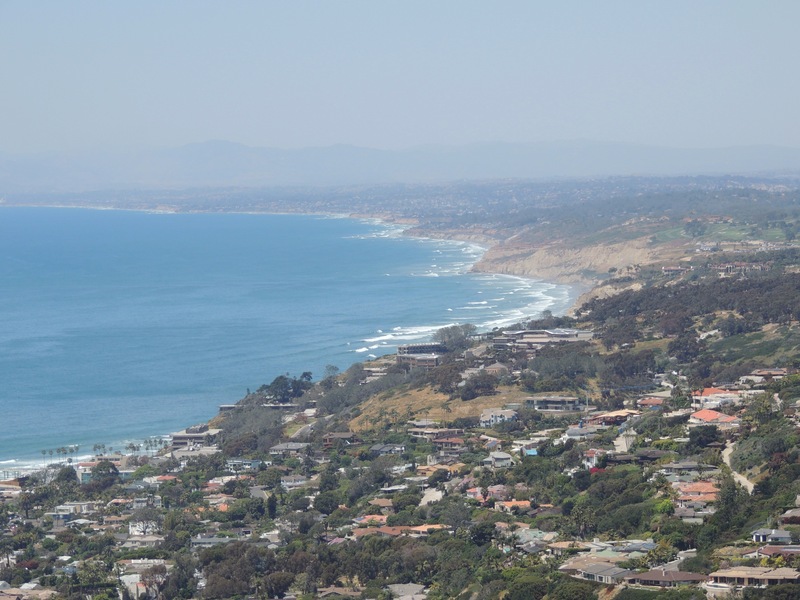 Next up, we move north to San Dimas to explore the Los Angeles area and to visit with friends and more family! Stay tuned! 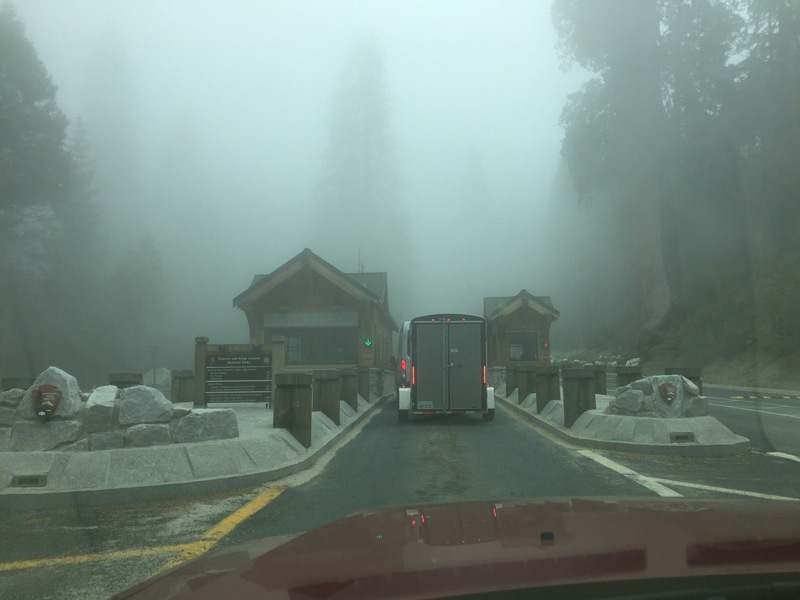 Yosemite National Park has always been high on our list of places to visit, but seemed out of reach for an RV trip in our working days. 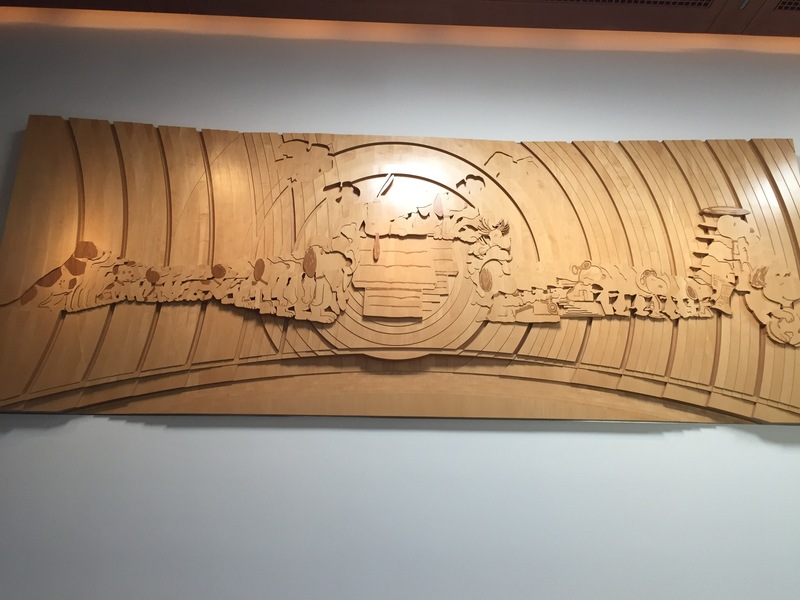 In early 2005, we happened upon round trip tickets to Sacremento from Chicago Midway on Southwest Airlines for $99 each, so we made plans to head west and check it out without the RV. 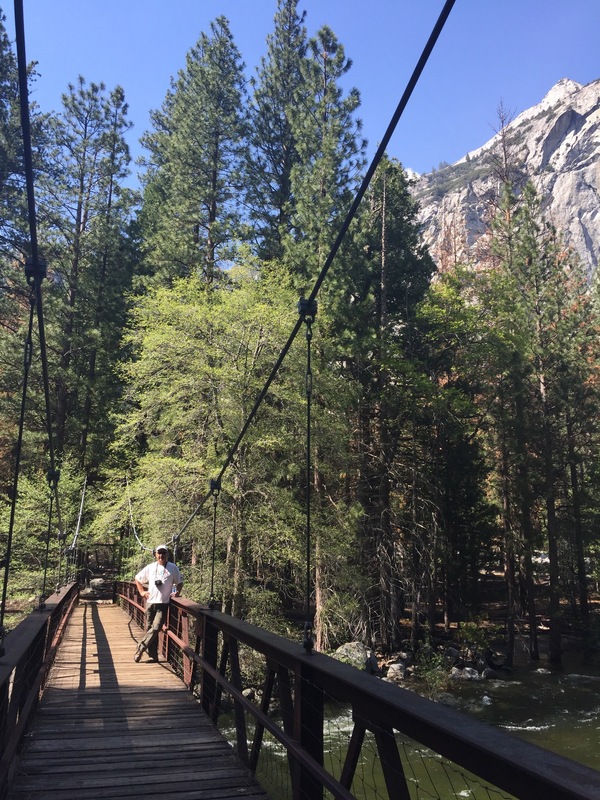 After touring the California state capitol, we headed to Yosemite. Our base while we were in the area was the unique Penon Blanco Lookout bed and breakfast in Coulterville. One of the great features of Penon Blanco was the stocked refrigerator in our room. Each day, we would head out with our cooler packed with their drinks, and they would refill the fridge each day…no additional charge. They would even replace the beer and wine! (That policy appears to have changed since then, per their website). We stopped at the local deli each day to stock up on food, which allowed us to picnic outdoors. As a result, we felt like we were still on an RV vacation! When we arrived in Yosemite Valley, we were awestruck. Yosemite was everything we had hoped it would be. The vistas were simply amazing. 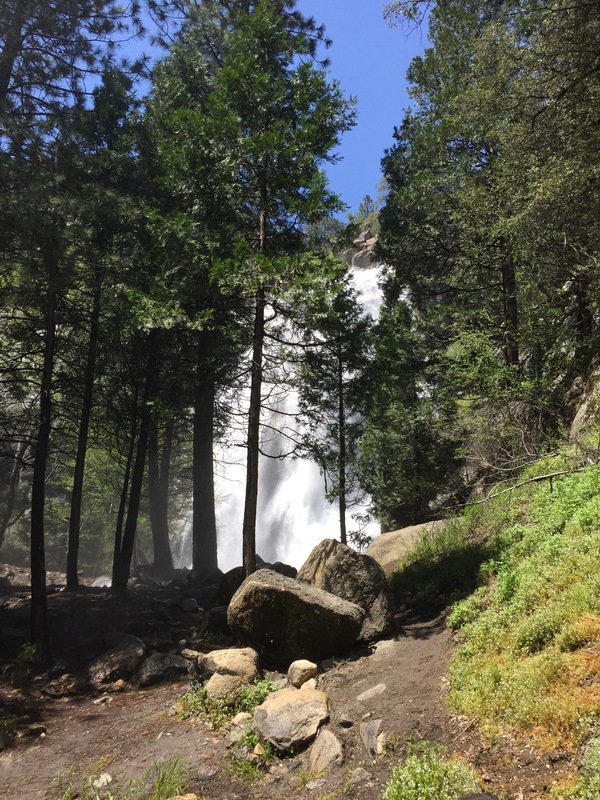 As a bonus, we were fortunate to be able to experience the valley with the waterfalls flowing heavier than they normally would be in the summer months. This was due to the heavy snowpack in the Sierras from the previous winter. What a difference between then and the drought conditions that exist now! Here is El Capitan standing proud against a gorgeous blue sky. For those of you who are unfamiliar with Yosemite, El Capitan is the largest granite monolith in the world. From the lookout at Washburn Point, visitors really get a sense of the magnitude of the valley. Here is a profile photo of Half Dome as viewed from the west. Looking north from the northern edge of Glacier Point, Yosemite Falls can be seen across the valley. Looking back east, the valley appears in all of it’s grandeur. It is easy to see why Ansel Adams loved to use Yosemite as a subject of his photographs. 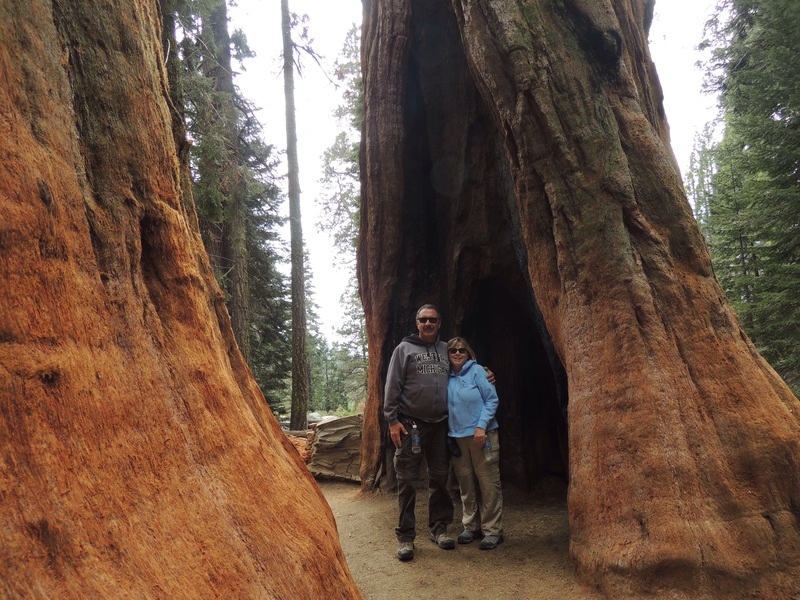 Yosemite is also home to a stand of Giant Sequoia trees. 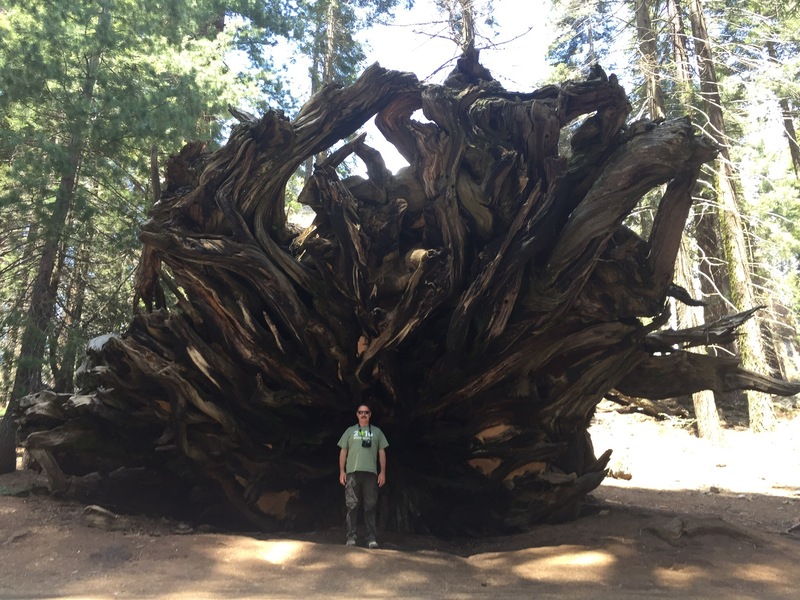 Some of the trees in the Mariposa Grove are 3000 years old. Looking up at one of these beauties really puts things in perspective, in terms of a human’s lifespan. 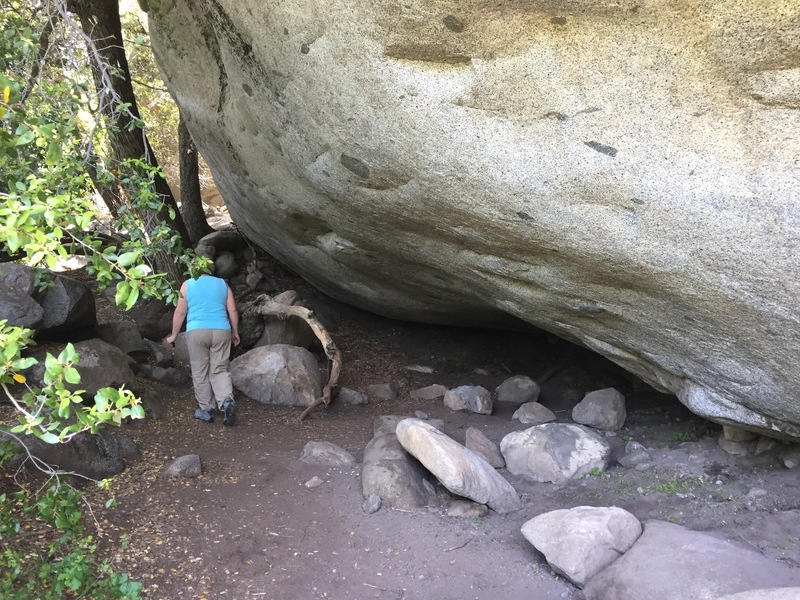 While we were there, we decided to spend one day exploring the eastern side of the Sierras. On our way across on Tioga Road, we saw this view of Half Dome from it’s eastern side. 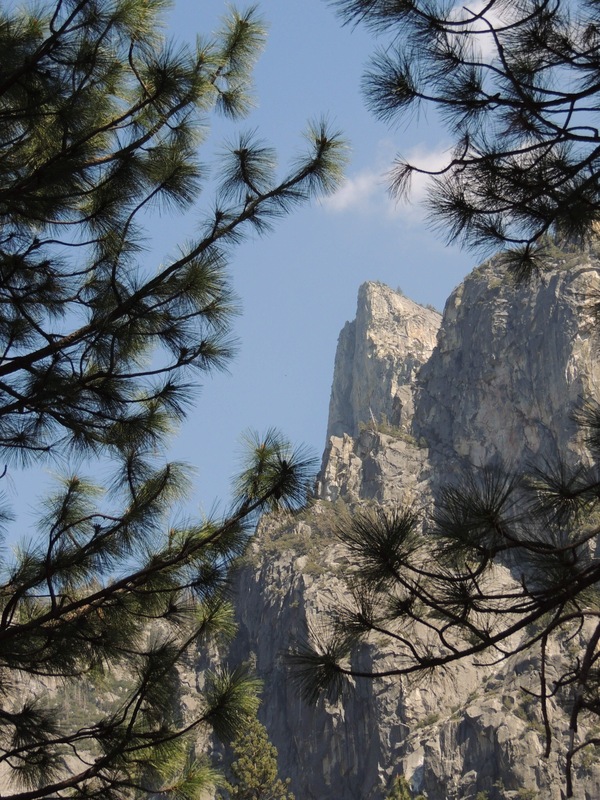 Most Yosemite visitors don’t get to see this side of the landmark. Heading across Tioga Pass, we encountered leftover snow from the previous winter. It is always fun to see the white stuff in mid summer! Our destination for the day was the old mining town of Bodie, California. Now a state park, Bodie is well preserved by the dry conditions that exist on the east side of the Sierras. We definitely want to spend more time in this town! 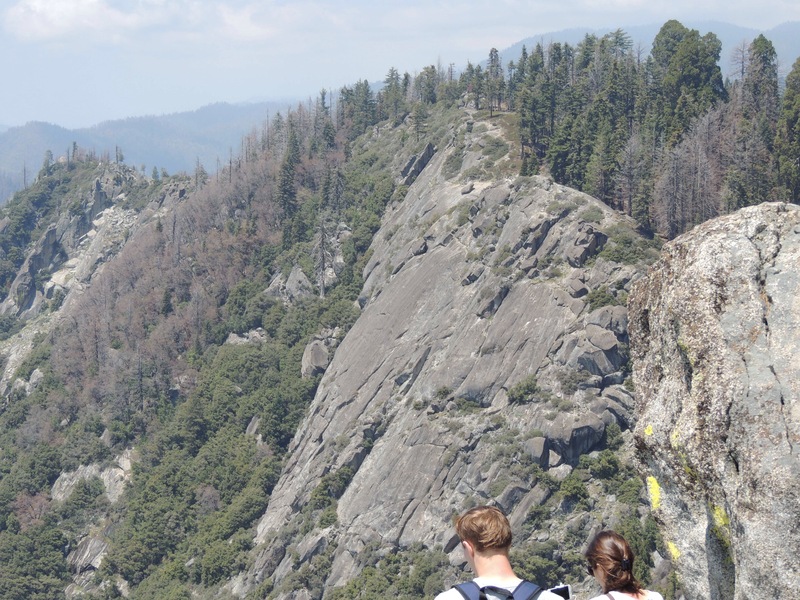 On our way back, we encountered a young couple who were hiking the Pacific Crest Trail. They had gotten off the trail to get supplies, and we’re trying to get back to camp before sundown. We had rented a Ford Expedition and had plenty of room, so they got a ride from us back to camp. They were fairly ‘ripe’ from hiking, but it was fun to talk with them about their experience. We don’t usually pick up hitchhikers, but it seemed pretty obvious to us that they were thru-hikers. Once we left Yosemite, we headed to San Francisco for a few days. Our base in the City By The Bay was the Marriott Fisherman’s Wharf. Here is Lombard Street, which is billed as the ‘crookedest street in the world’. 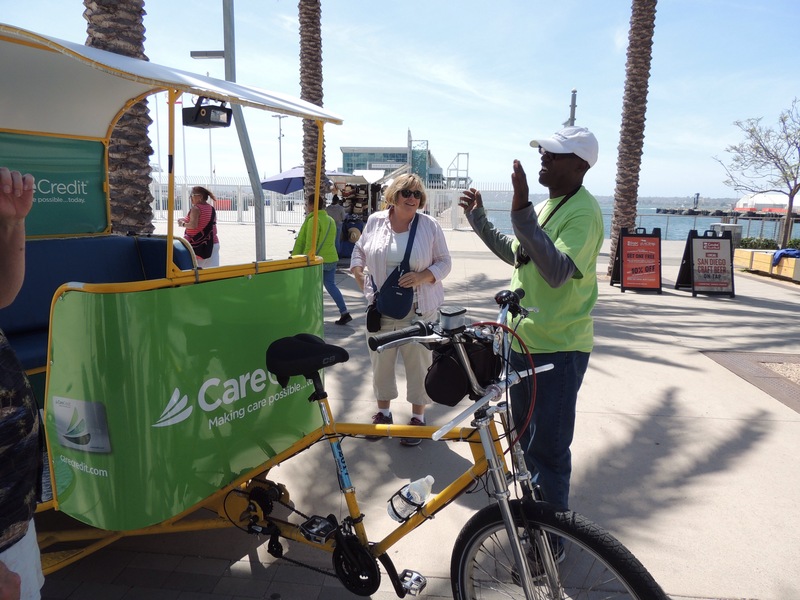 It was fun to walk down the sidewalk, and was even more fun to drive! While we were there, we ventured up Columbus Avenue to a restaurant called Mama’s. Our breakfast that morning became the benchmark to which all others are measured for us. Simply outstanding. Across the street from Mama’s is Washington Square Park. Each morning, the local residents begin their day with Tai Chi. It was fascinating to watch. 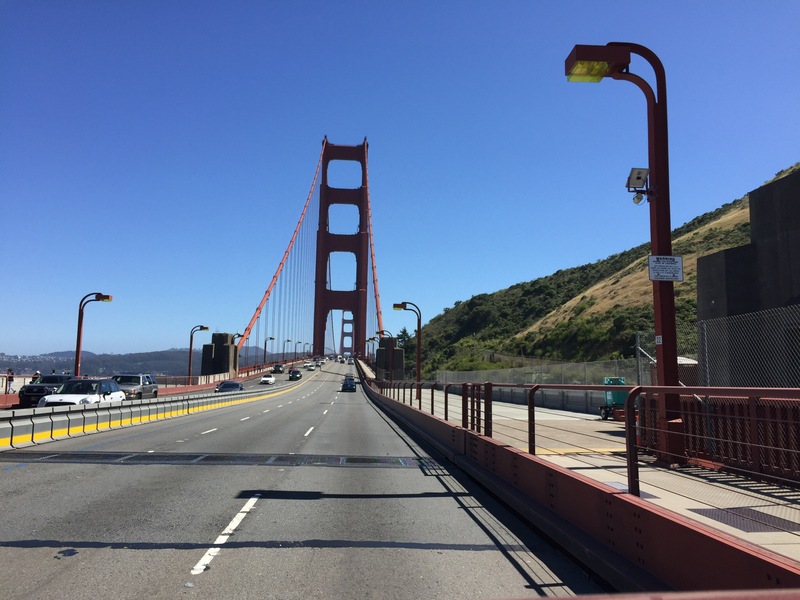 Once we left San Francisco, we headed north along the coast. The coastal fog was very thick that day, so we asked a local if there was any chance at seeing the sun. 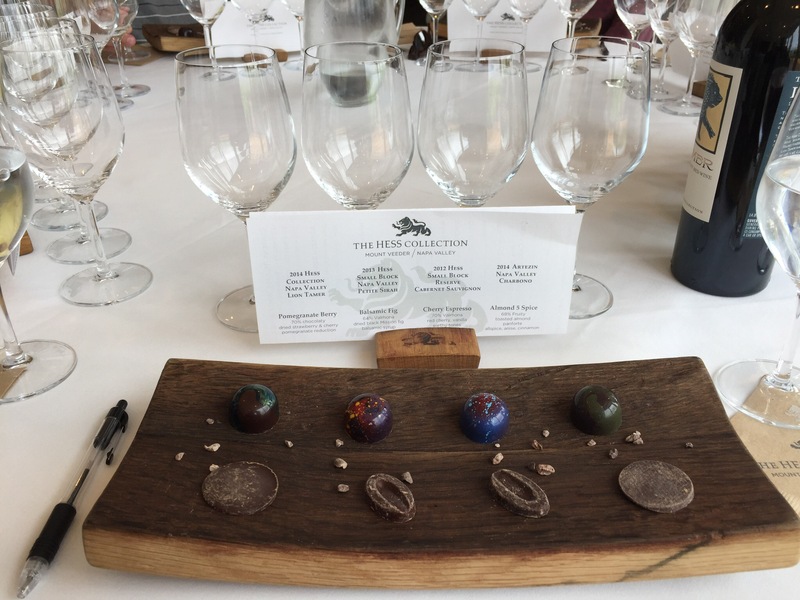 We were told to drive north to Tomales and if the fog hadn’t lifted by then, head east to Sonoma Valley and skip the coast. That is what ended up happening. 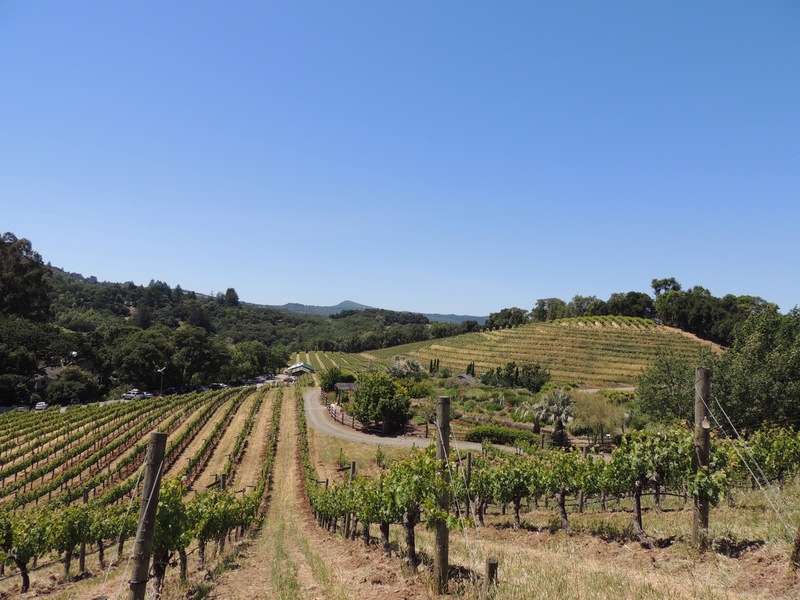 Sonoma was enchanting, and we thoroughly enjoyed our time there. 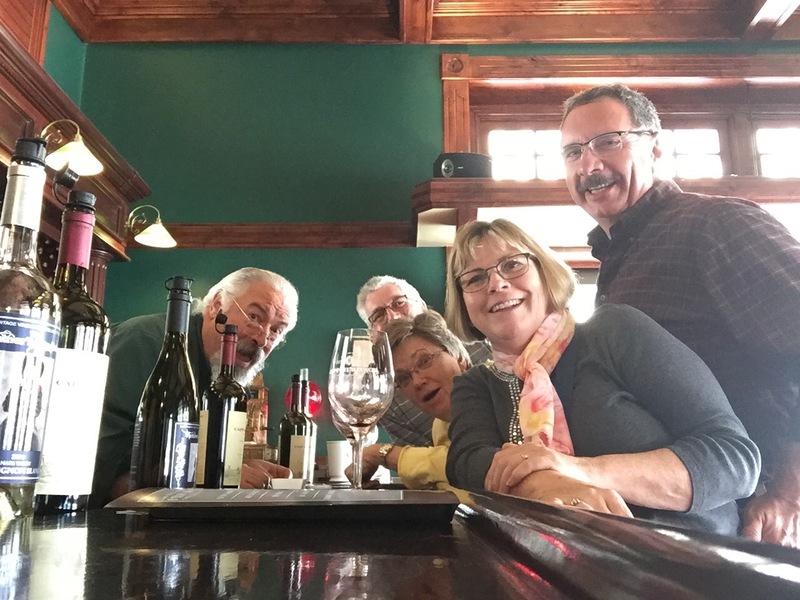 We toured many of the shops in the area and visited a couple of wineries. 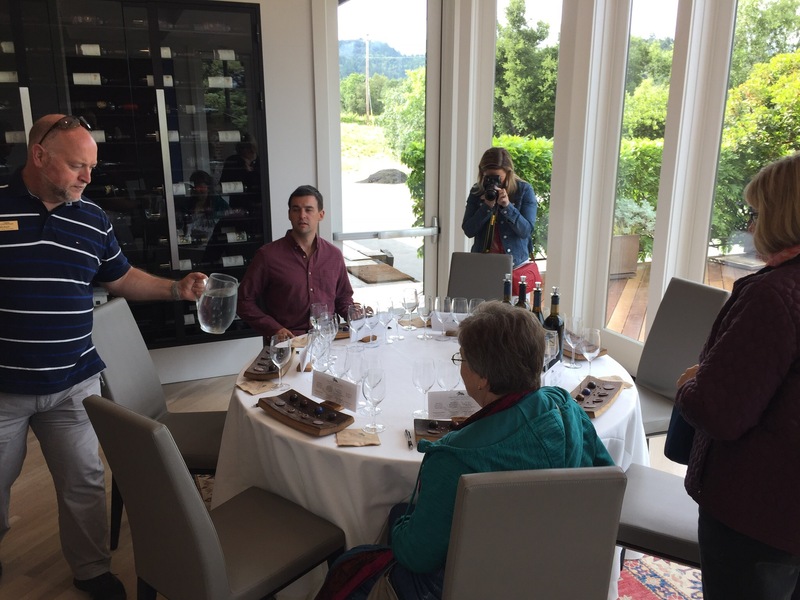 We took a tour of the Benziger Family Winery, which was very interesting. 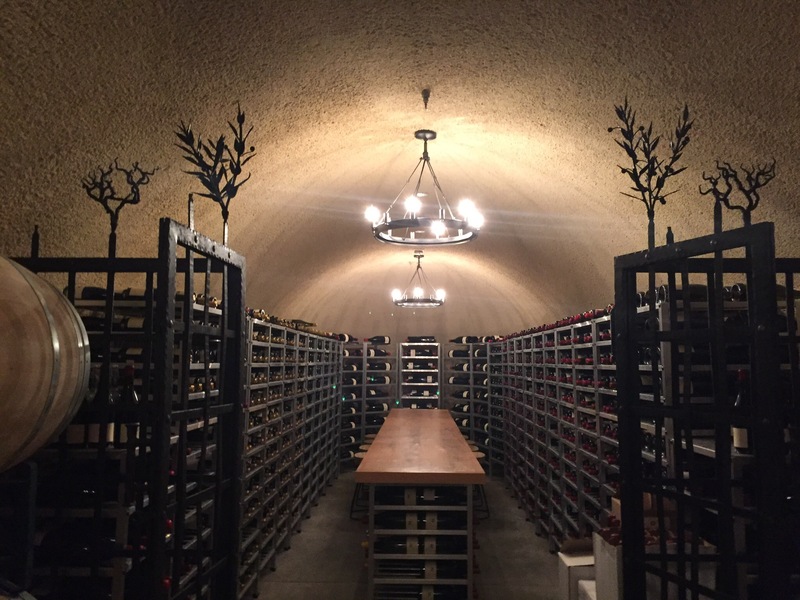 Here is a photo of their cellar. 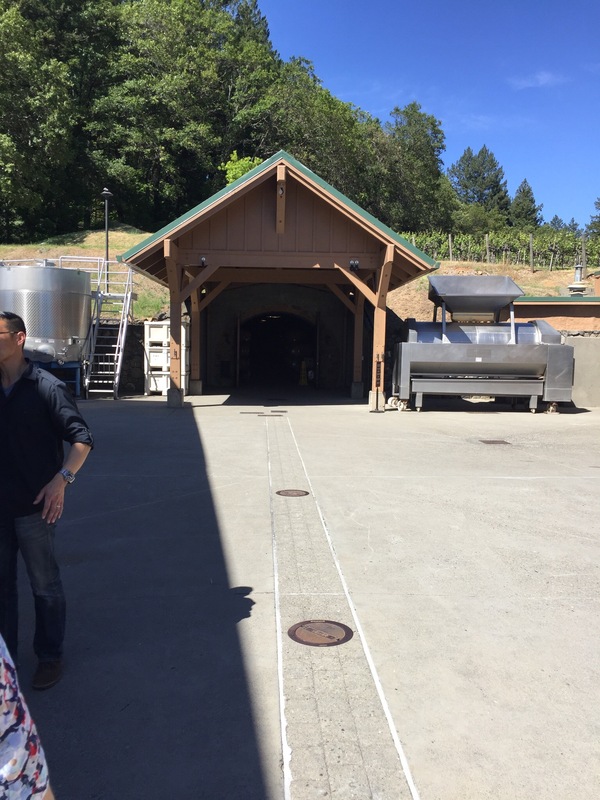 It was here that we learned how a winery uses the topography of it’s property to produce various types of grapes. It all has to do with the amount of sun a vine receives each day as to what variety is grown on a specific parcel. 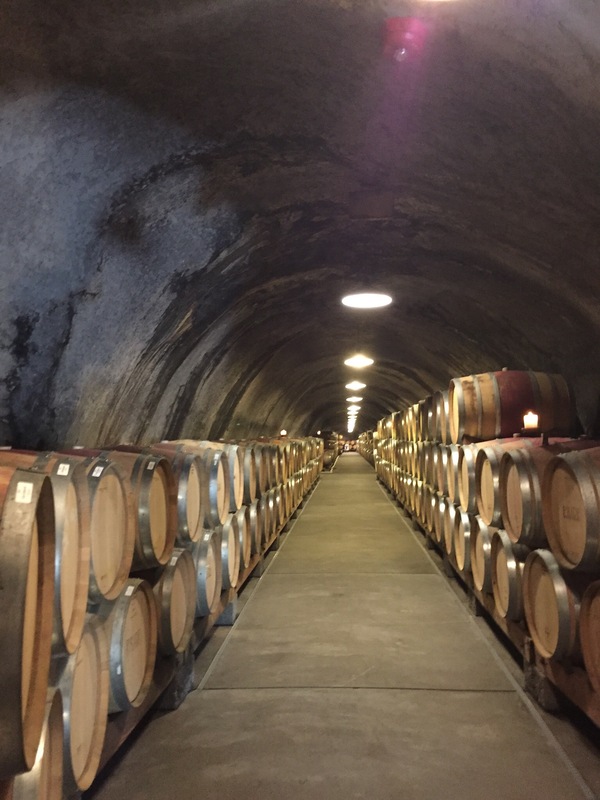 After we finished up at Sonoma, we headed to Napa Valley to tour more wineries. 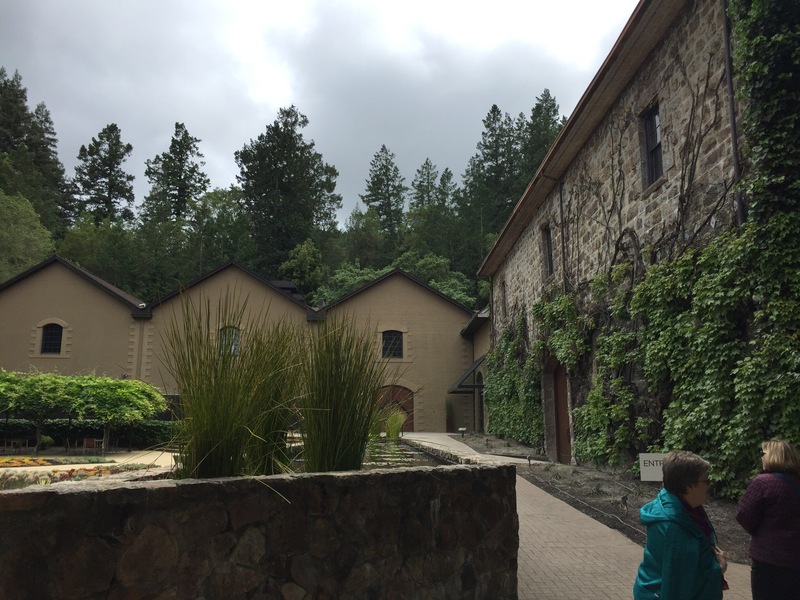 Once we got there, we realized that Napa was geared more towards production and was not as quaint. Next time through, we plan on focusing more of our time in Sonoma. So thanks to some great airfare, we made a trip that might have otherwise been delayed until our retirement. John Muir’s words struck a chord with us, and we are glad we followed in his footsteps.